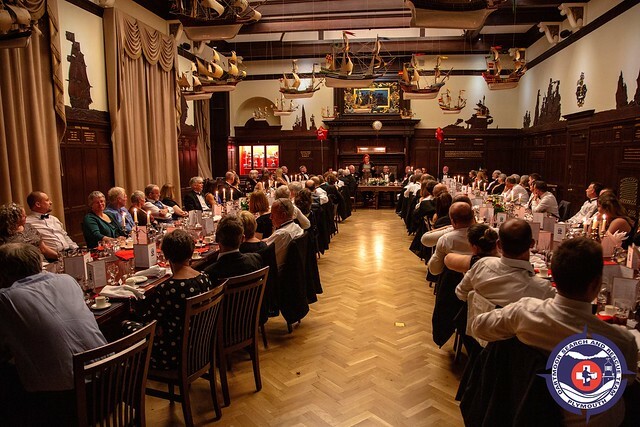 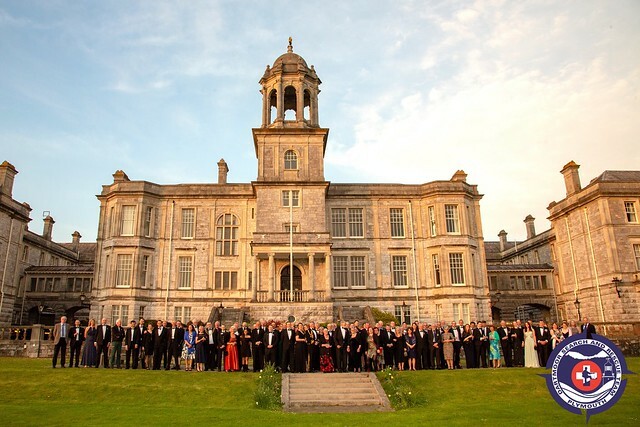 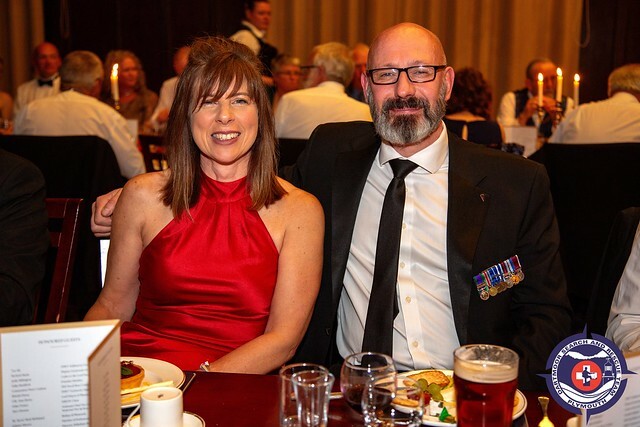 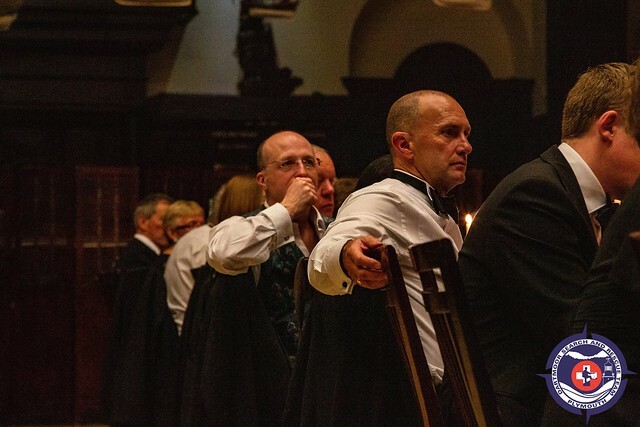 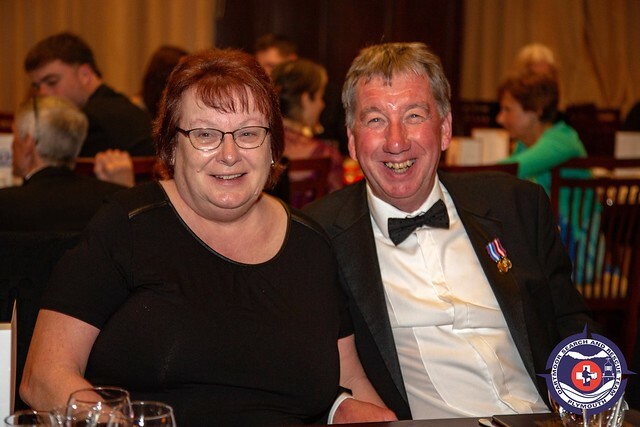 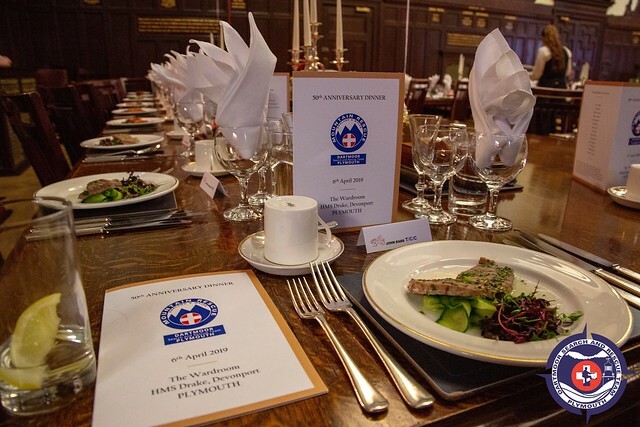 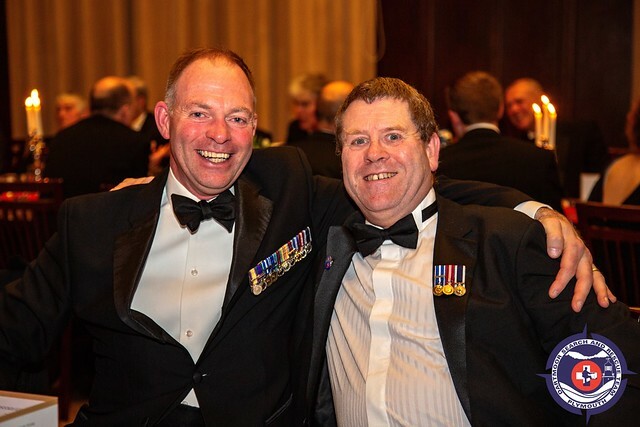 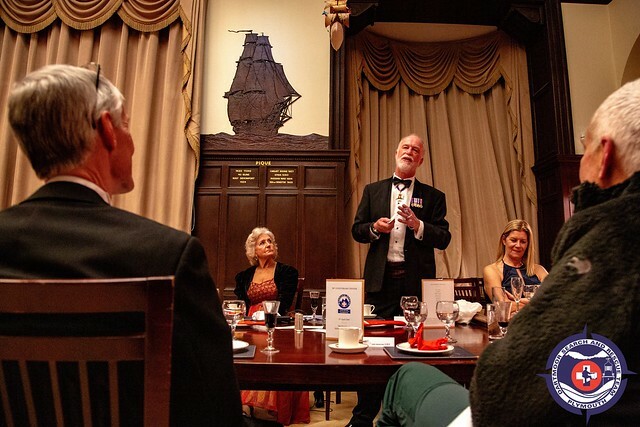 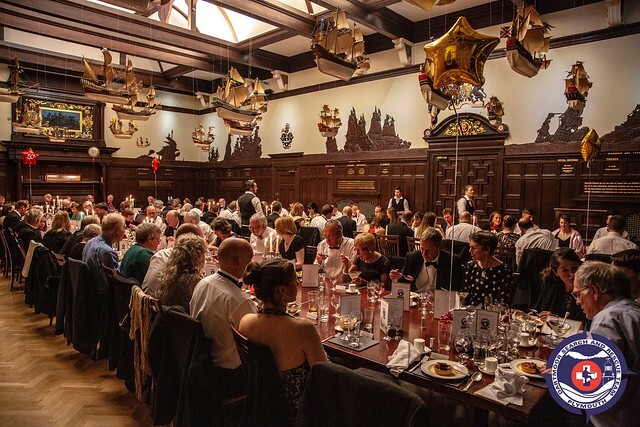 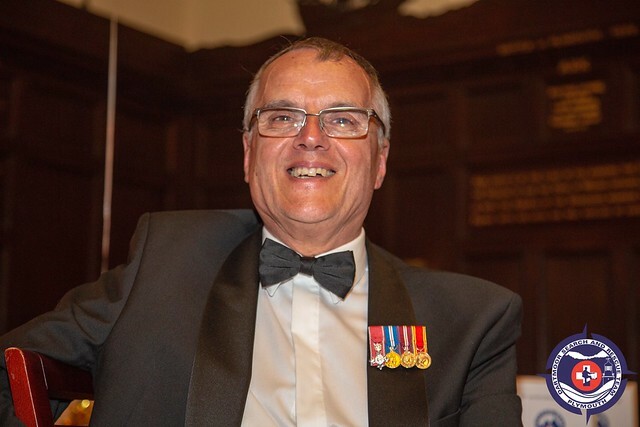 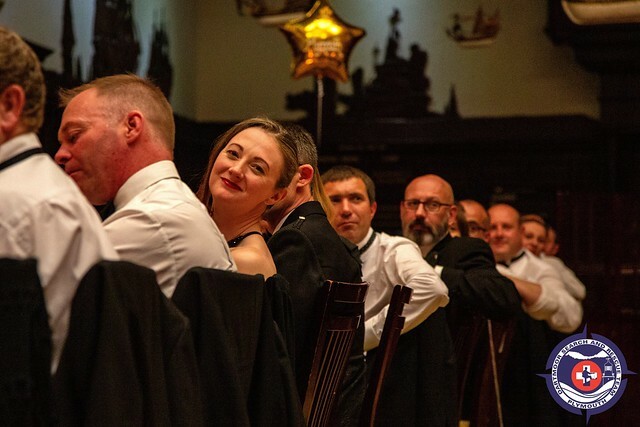 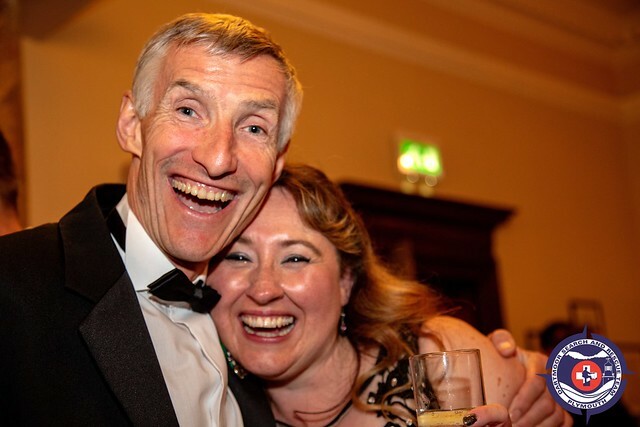 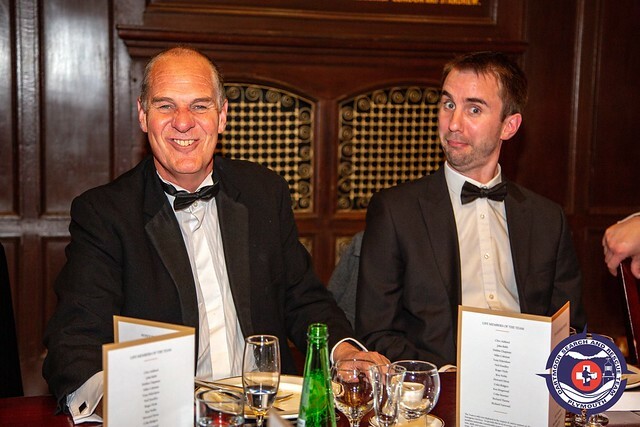 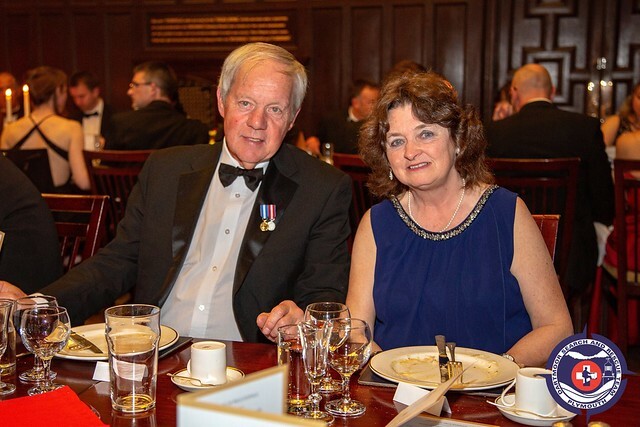 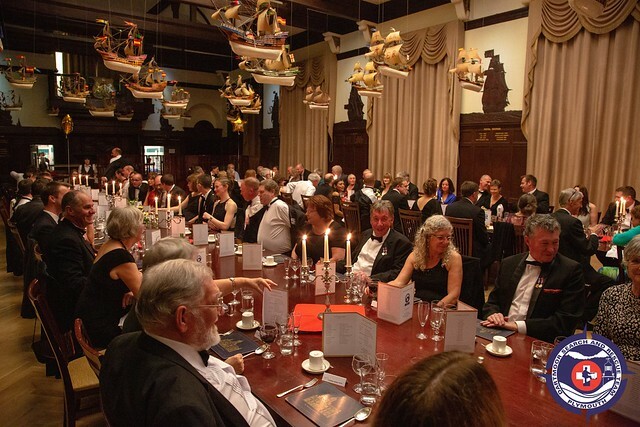 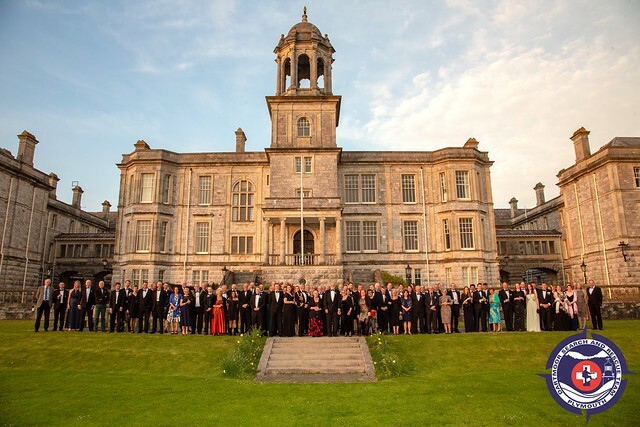 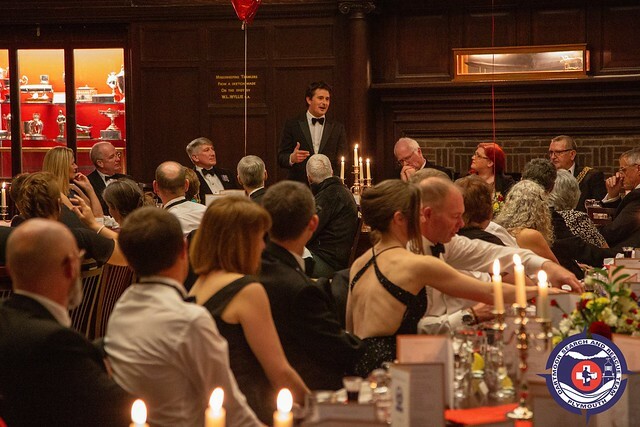 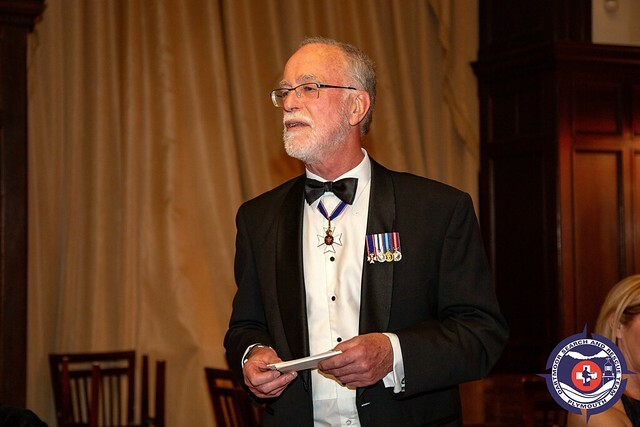 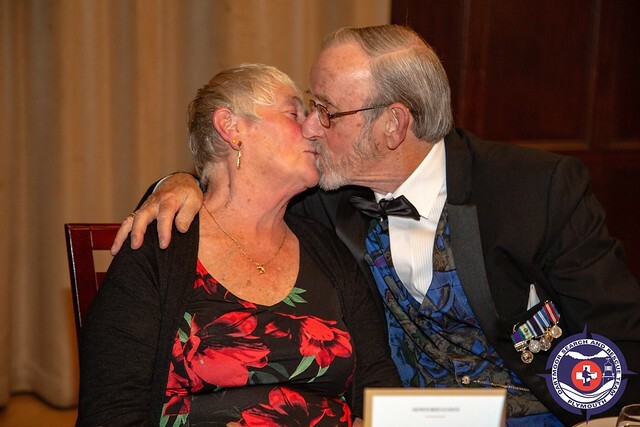 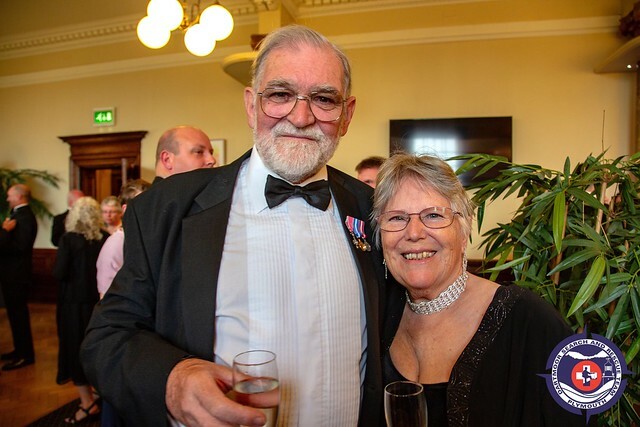 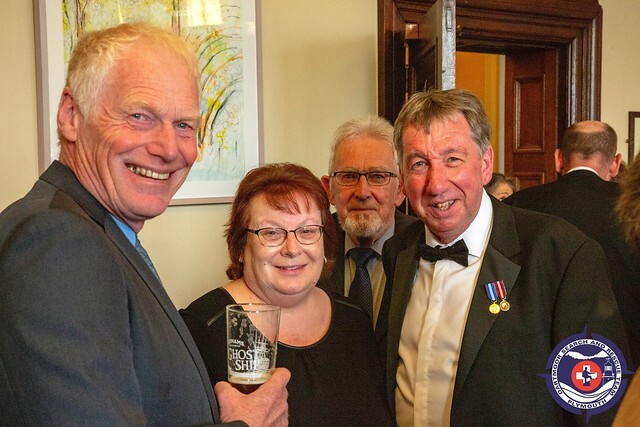 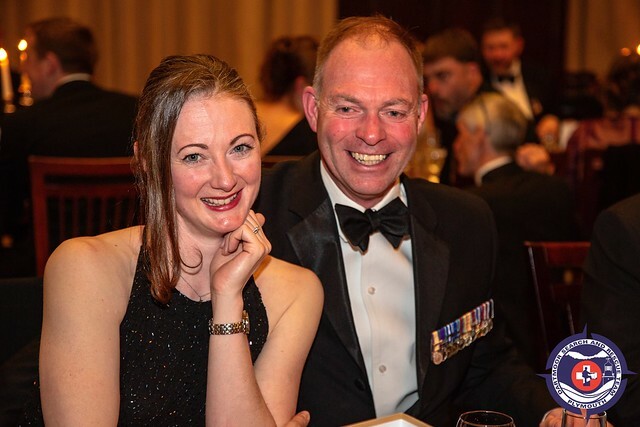 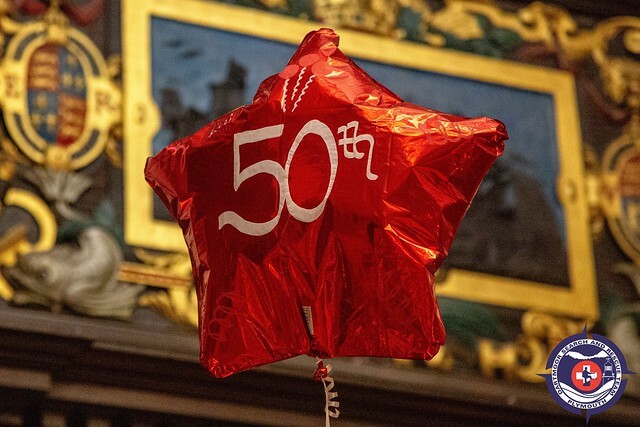 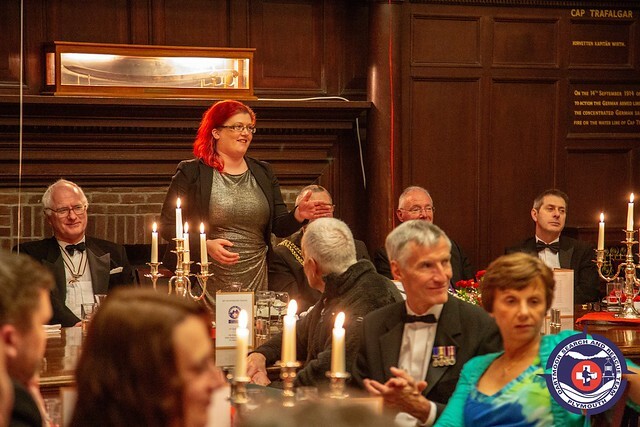 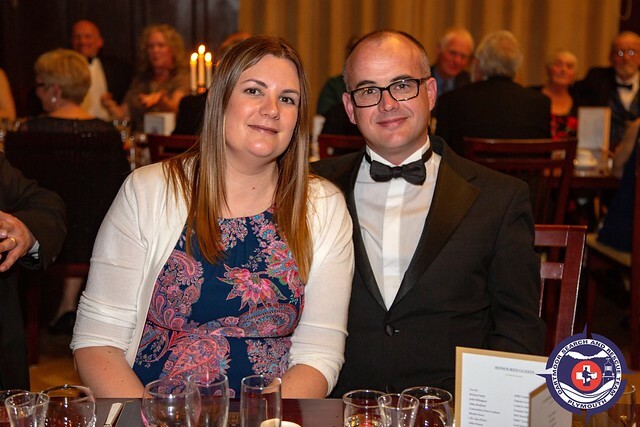 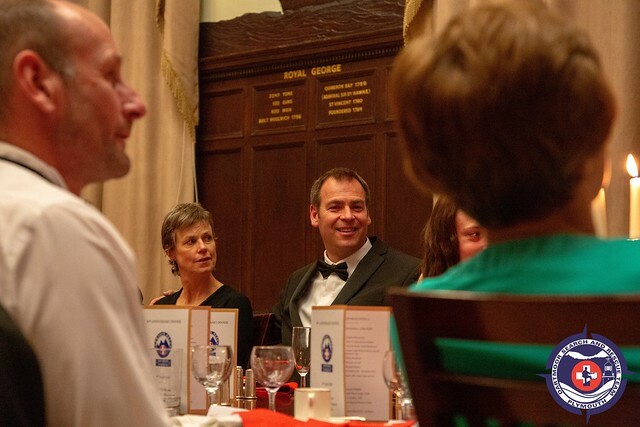 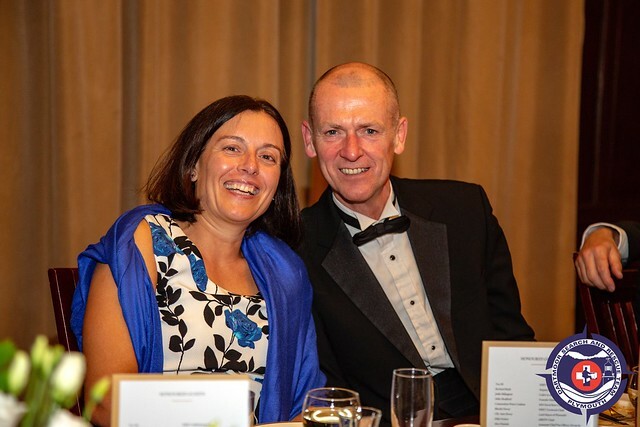 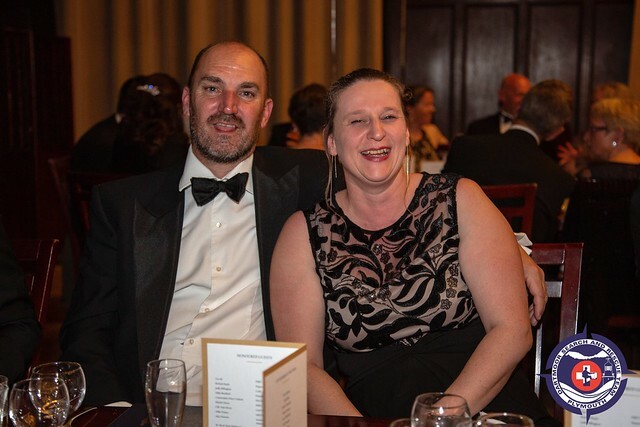 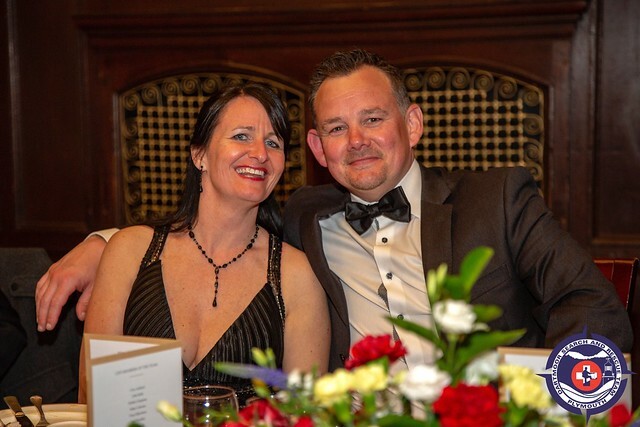 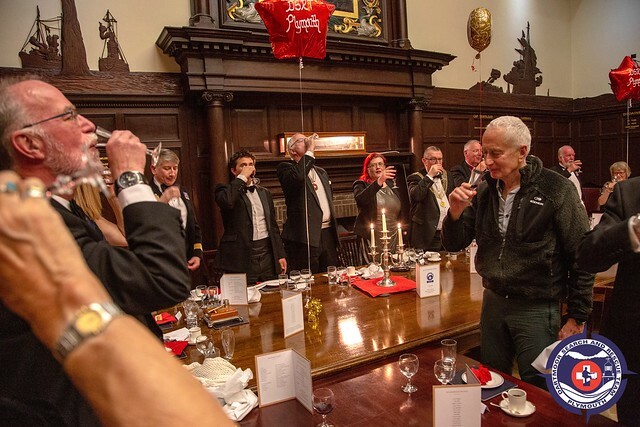 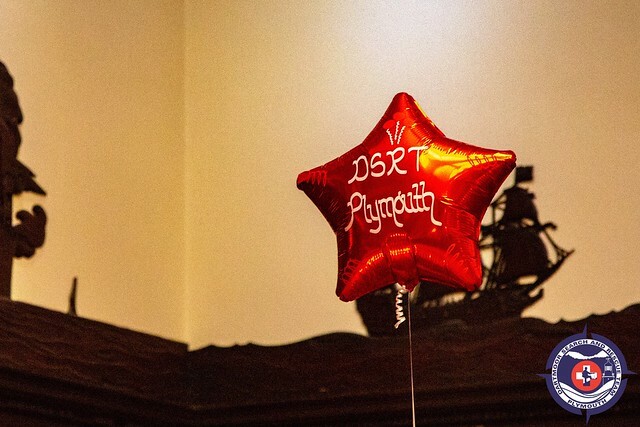 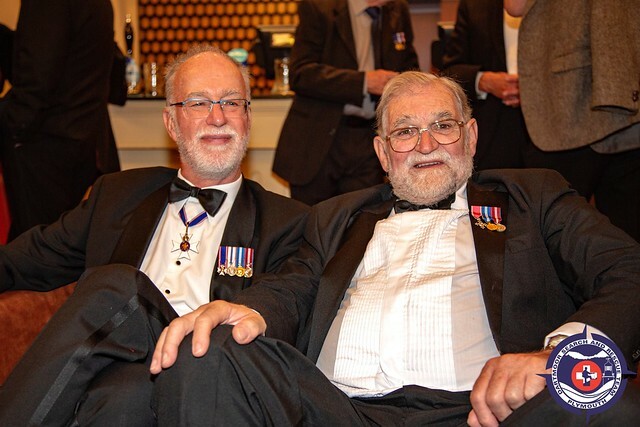 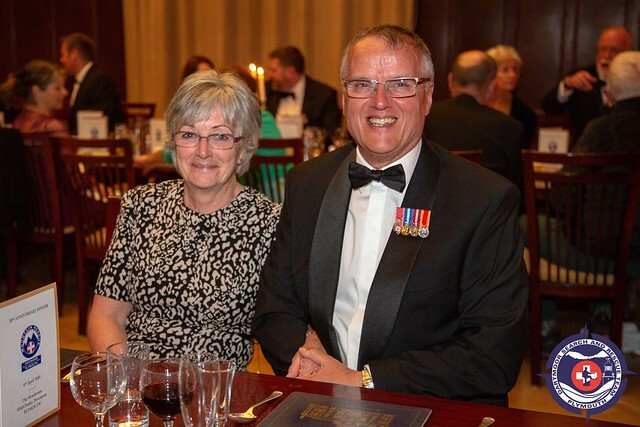 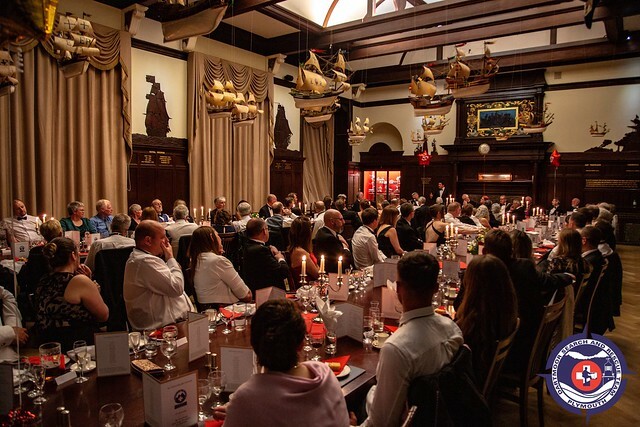 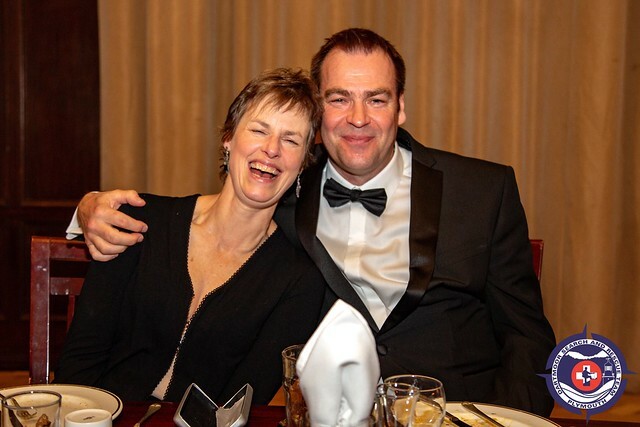 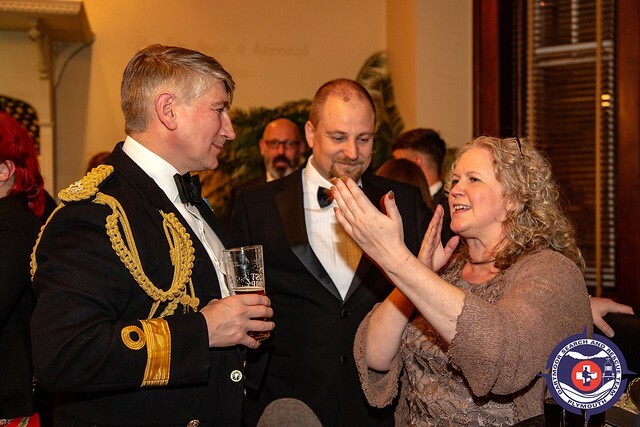 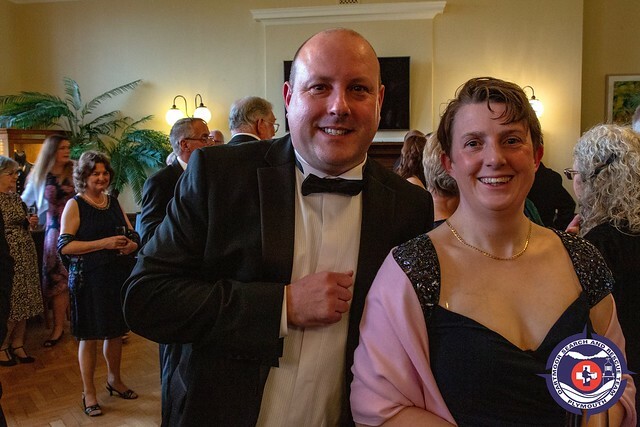 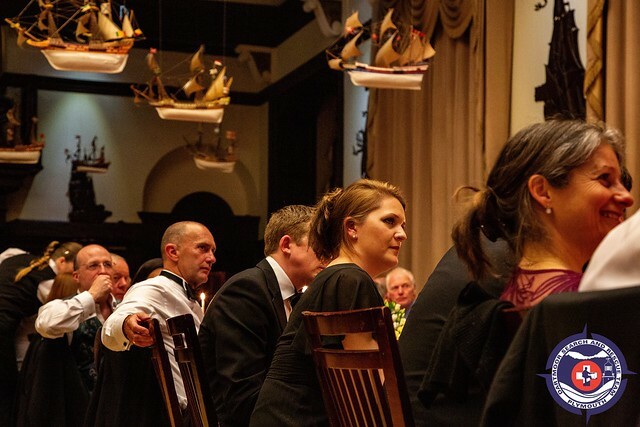 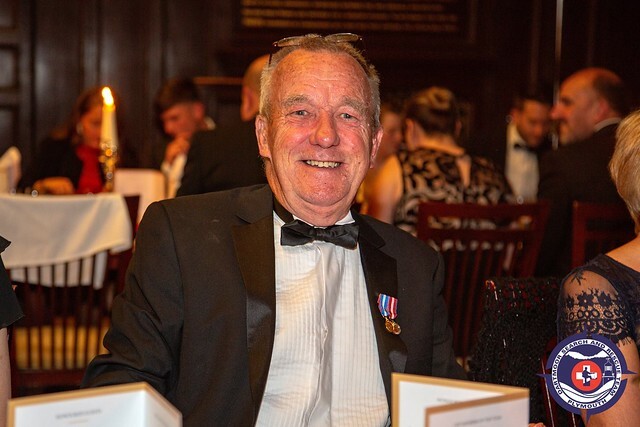 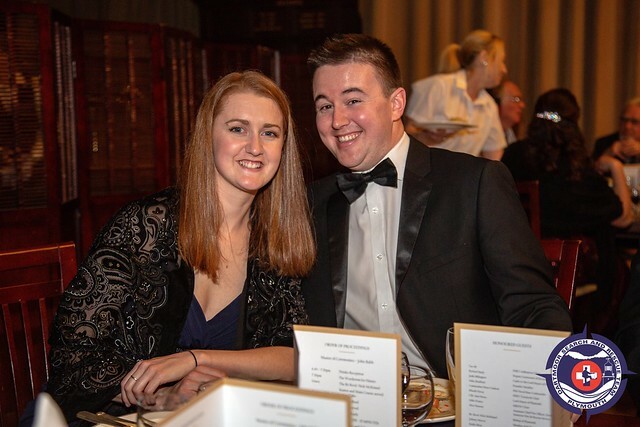 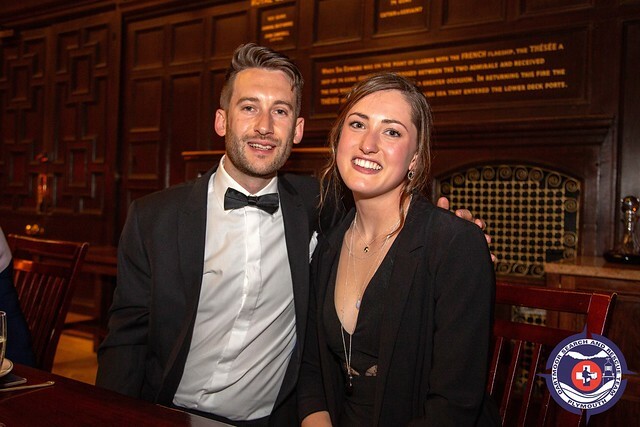 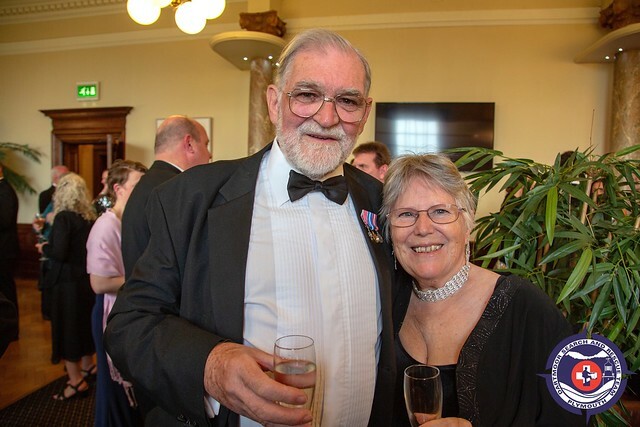 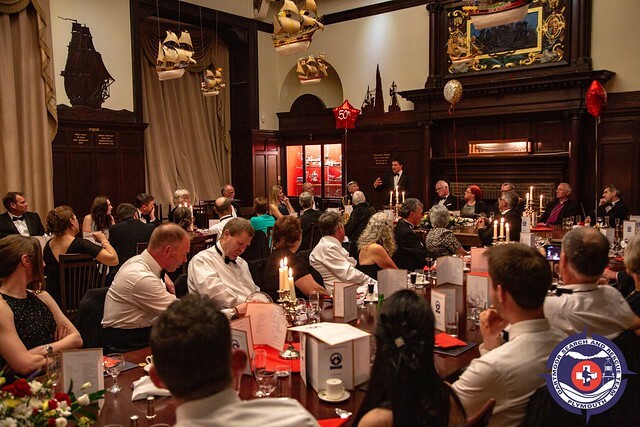 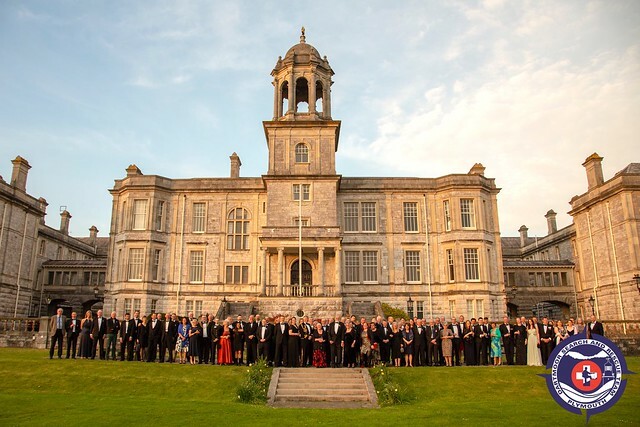 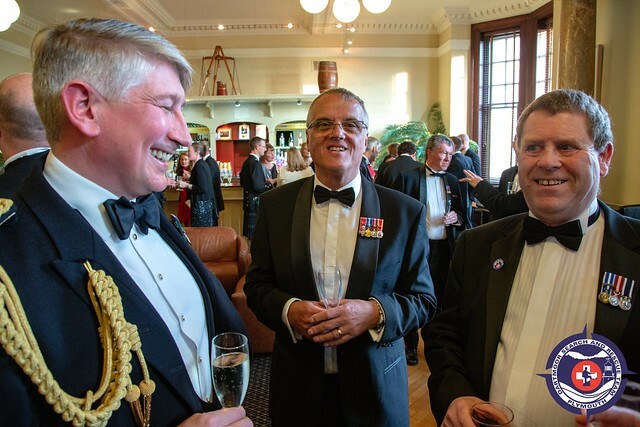 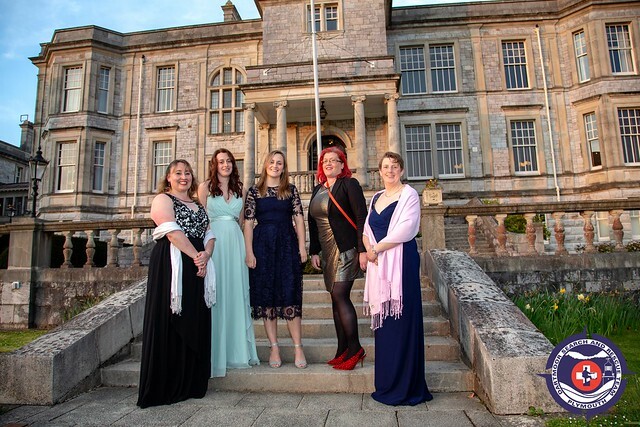 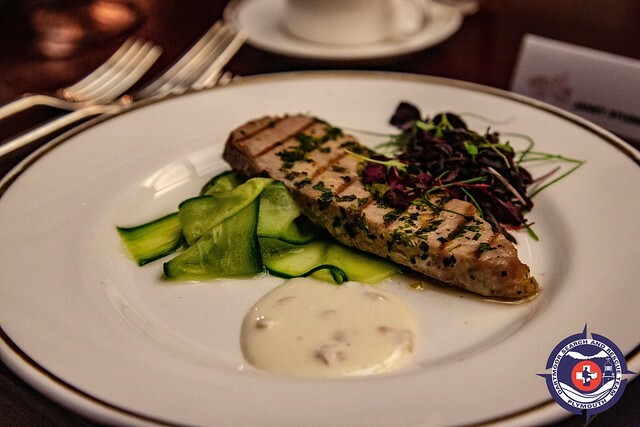 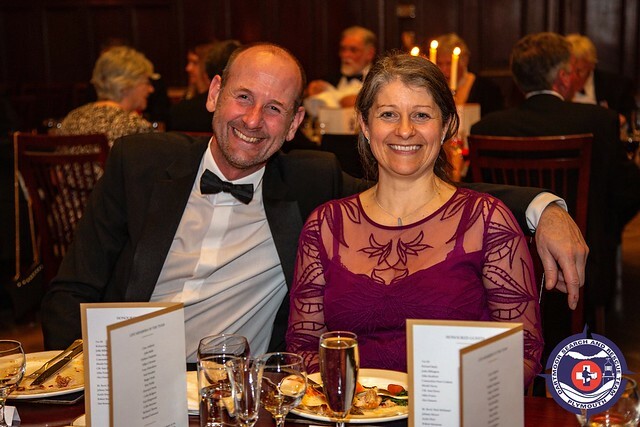 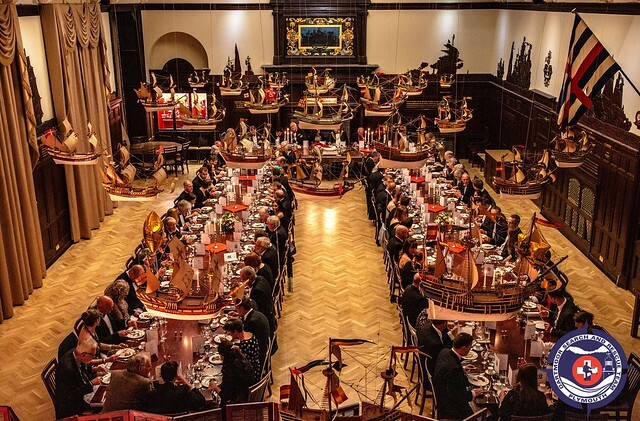 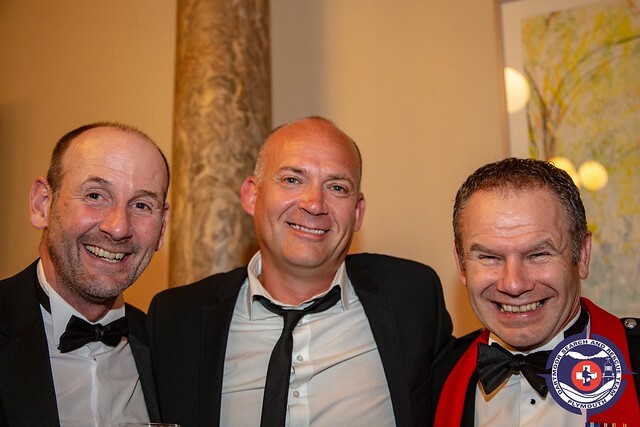 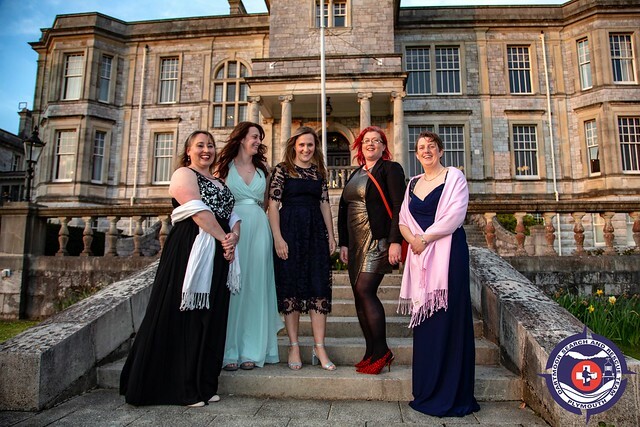 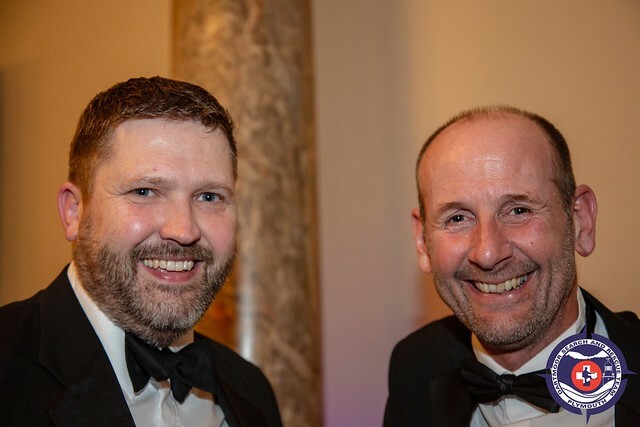 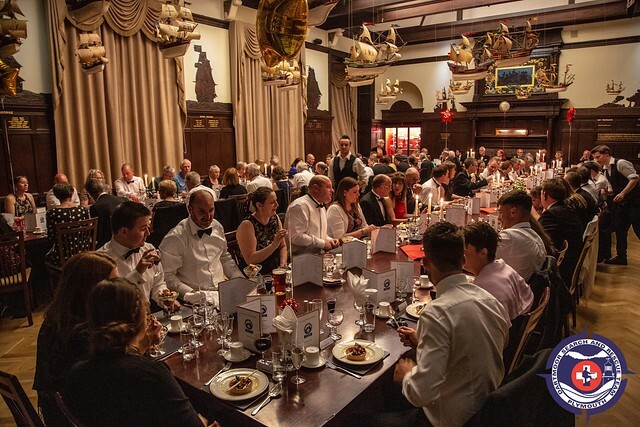 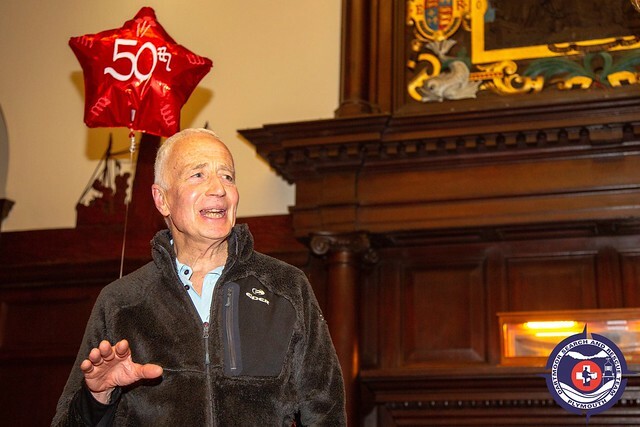 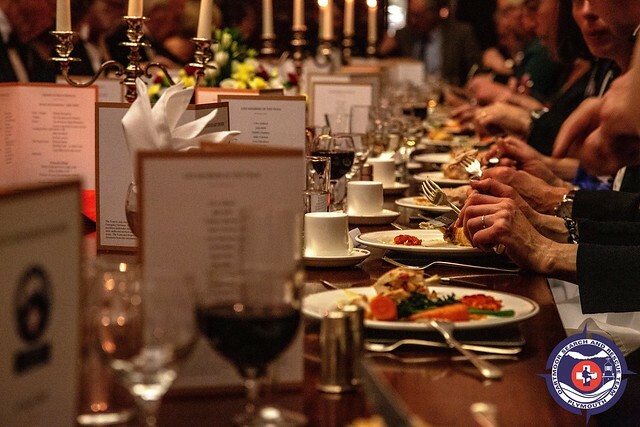 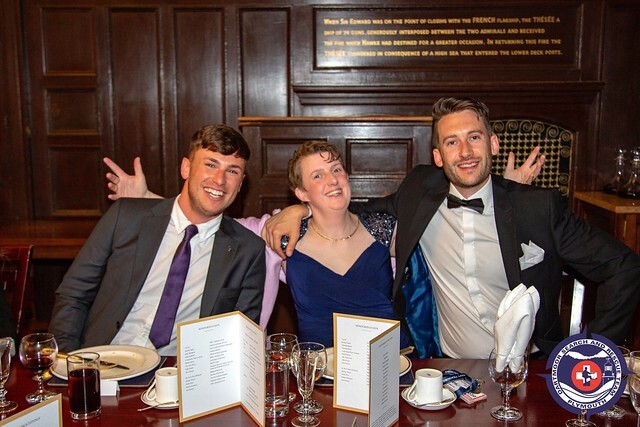 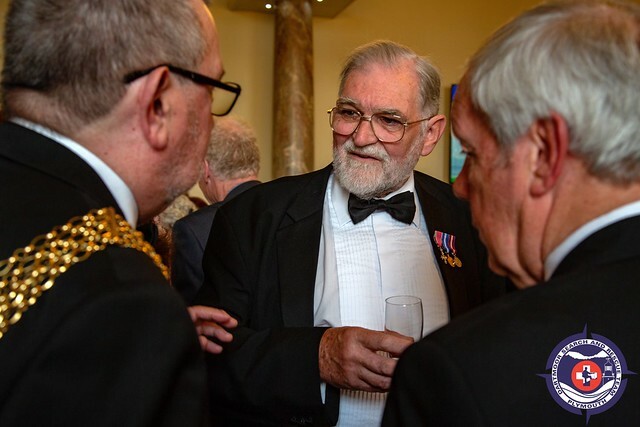 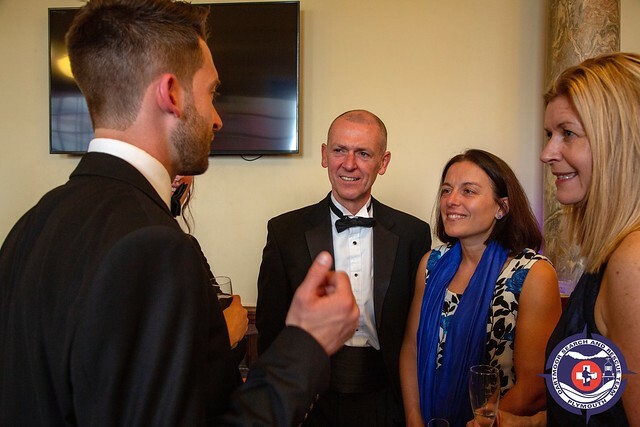 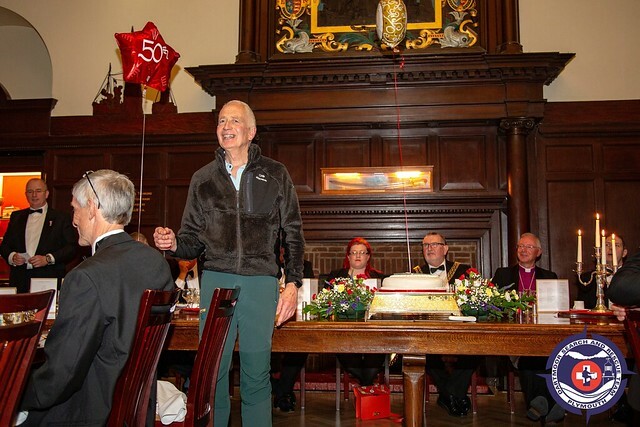 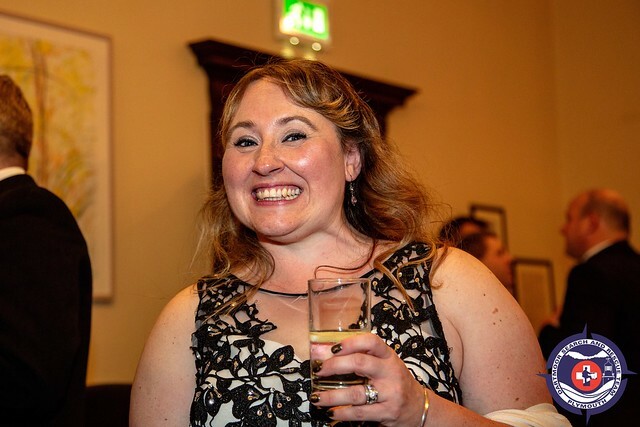 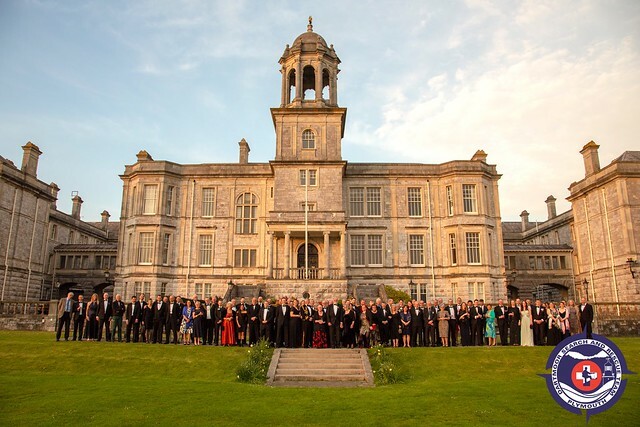 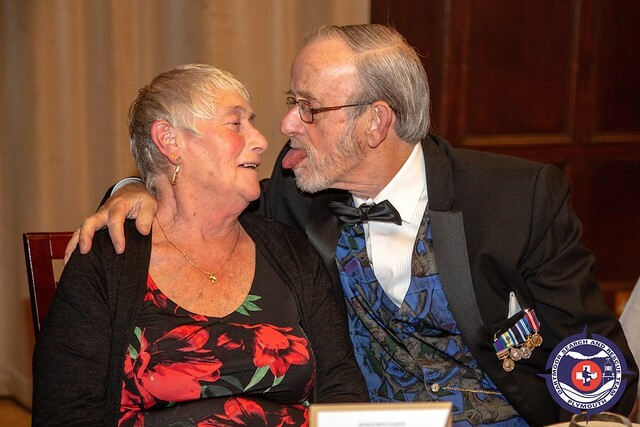 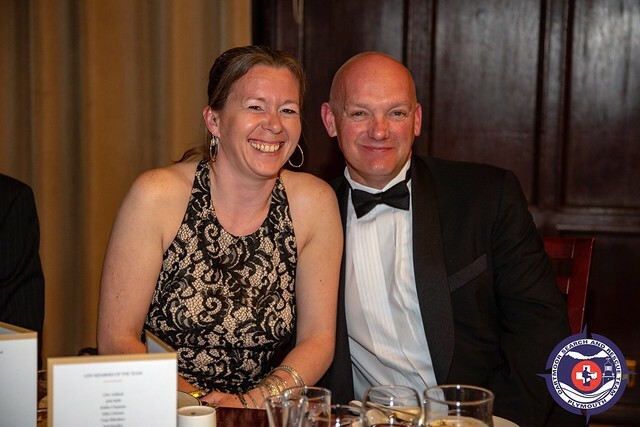 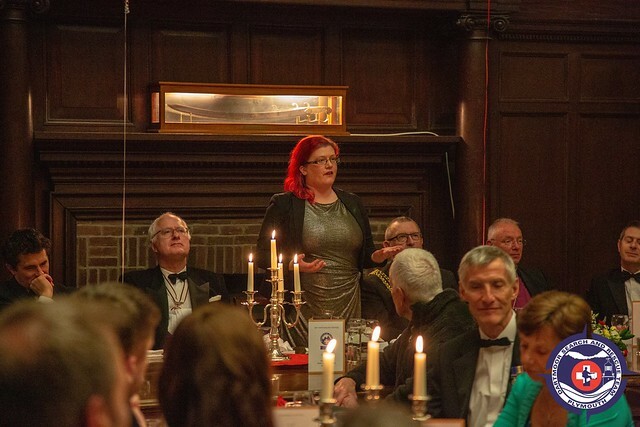 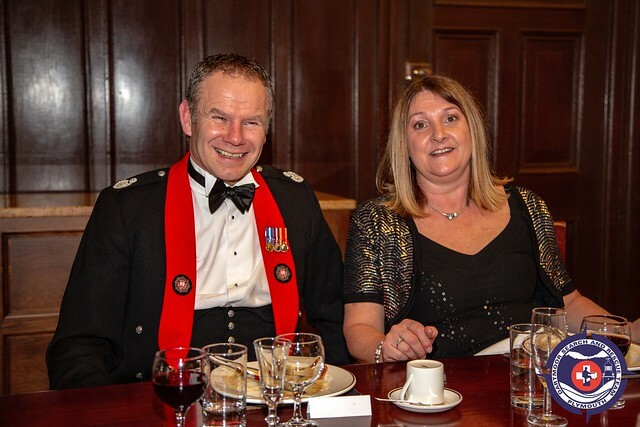 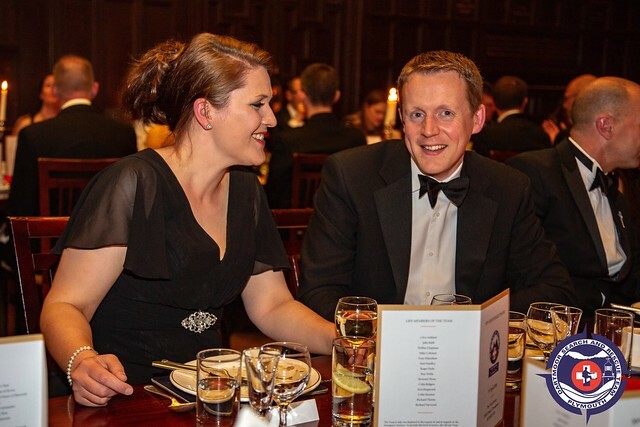 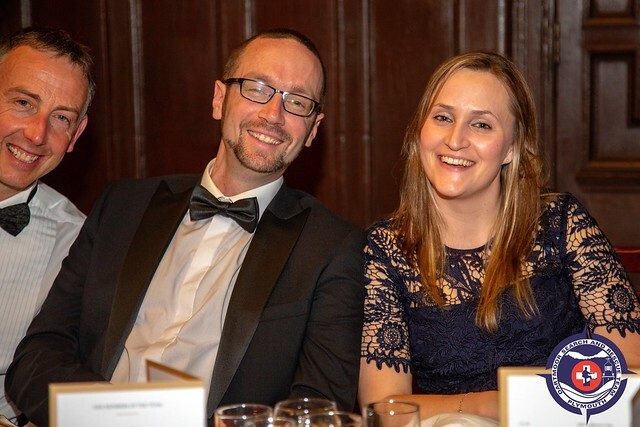 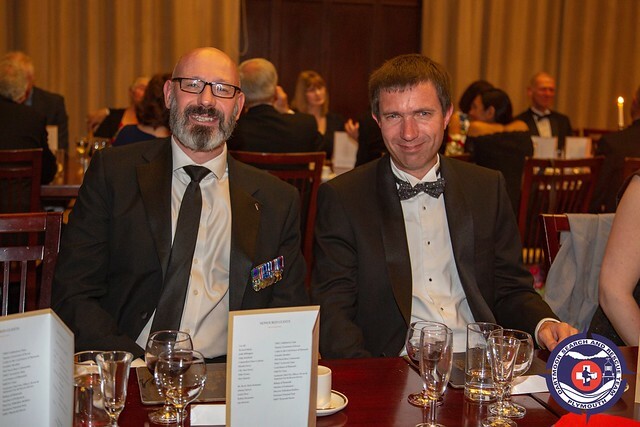 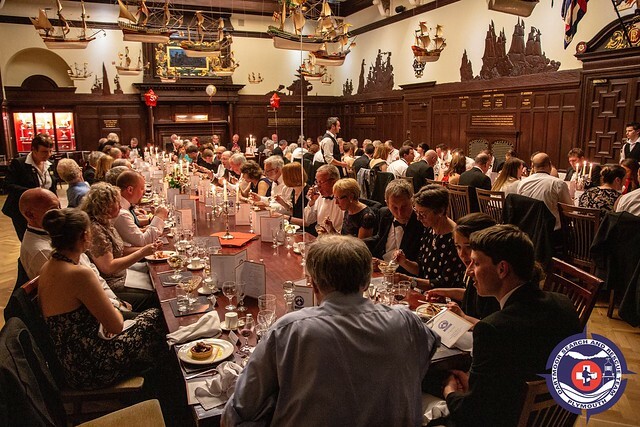 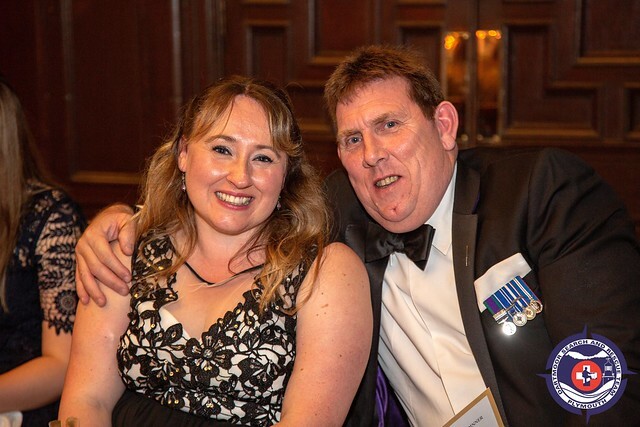 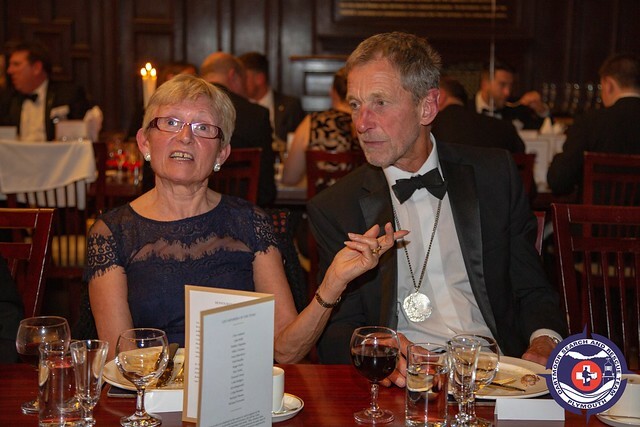 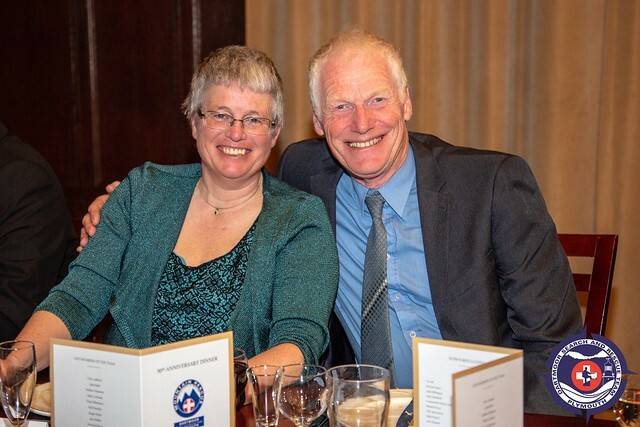 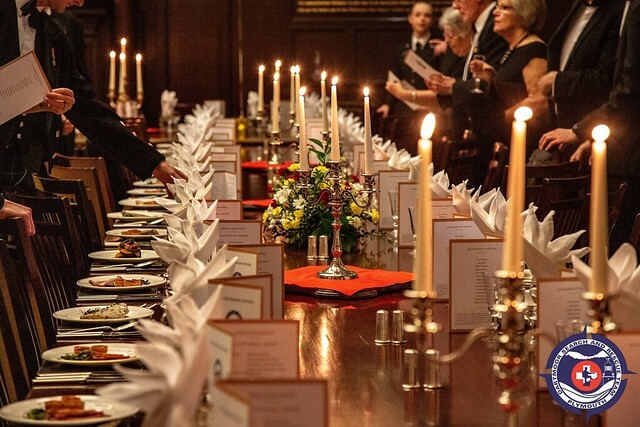 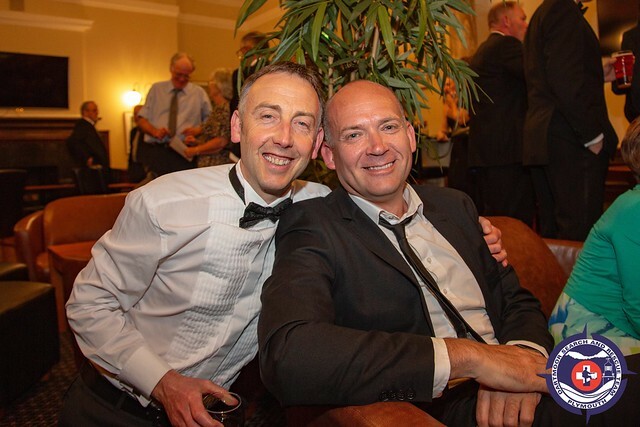 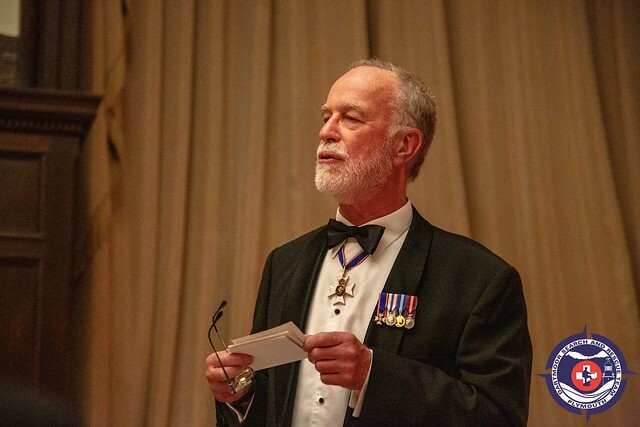 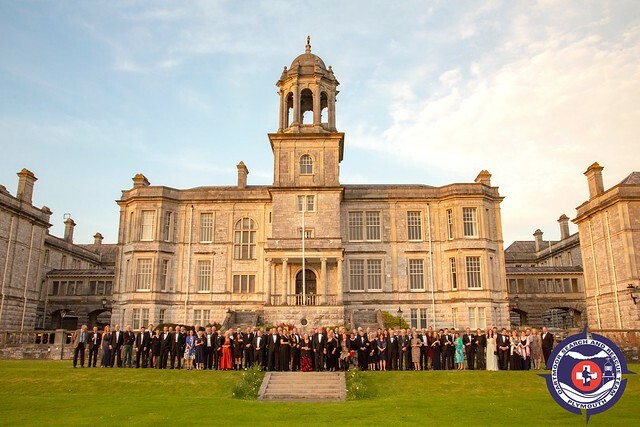 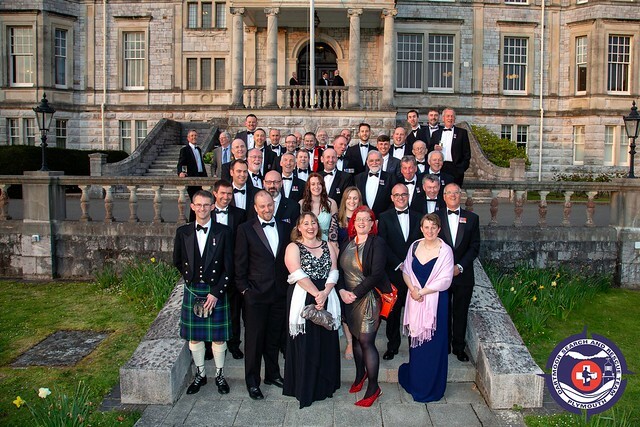 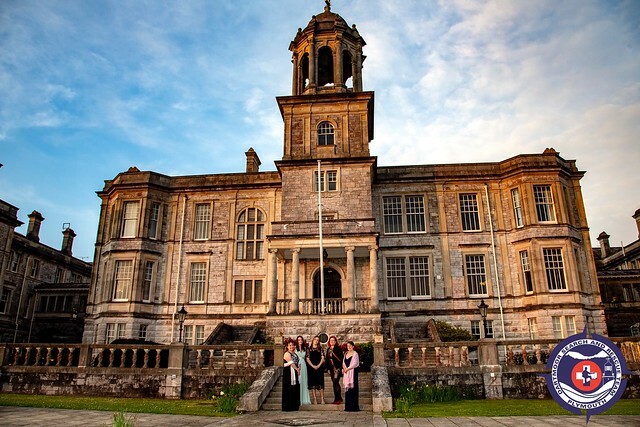 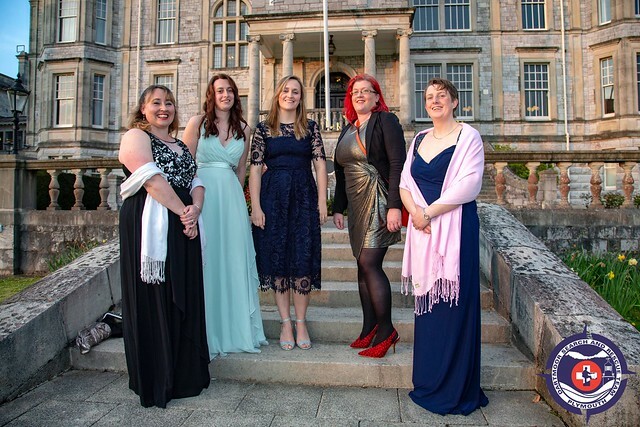 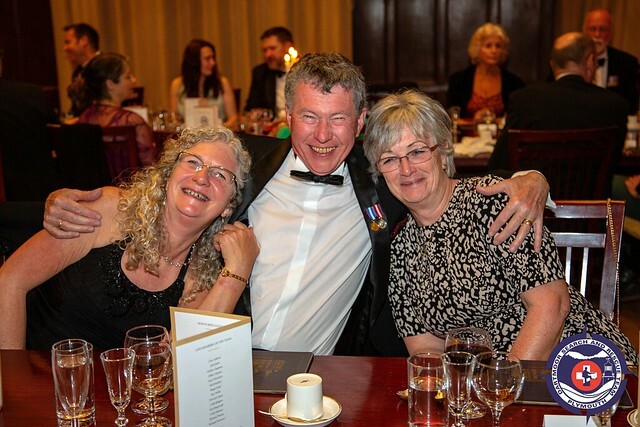 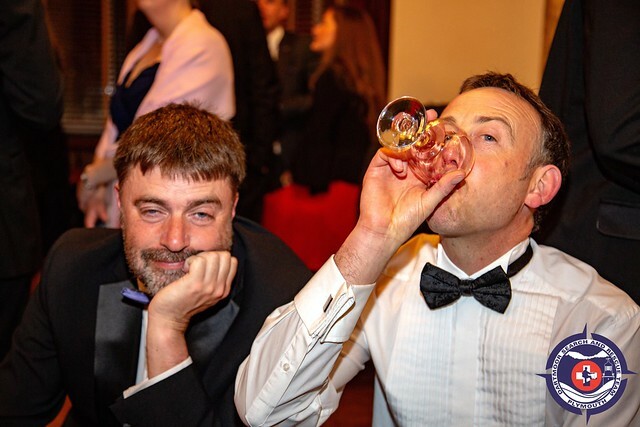 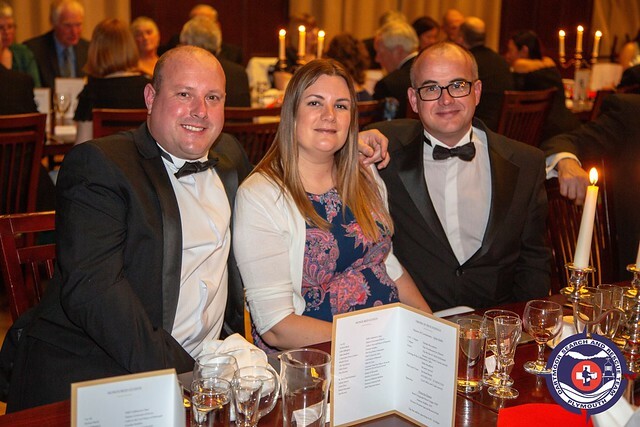 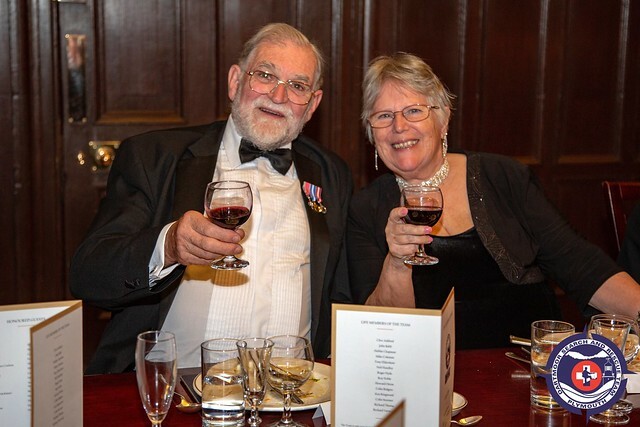 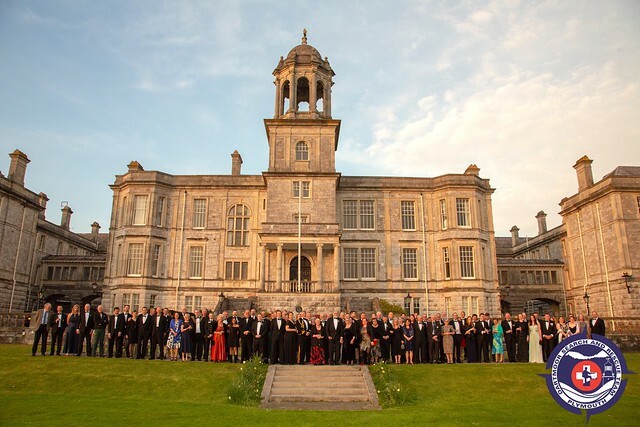 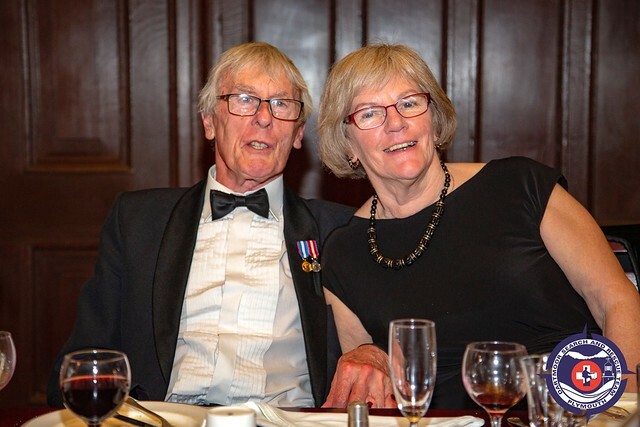 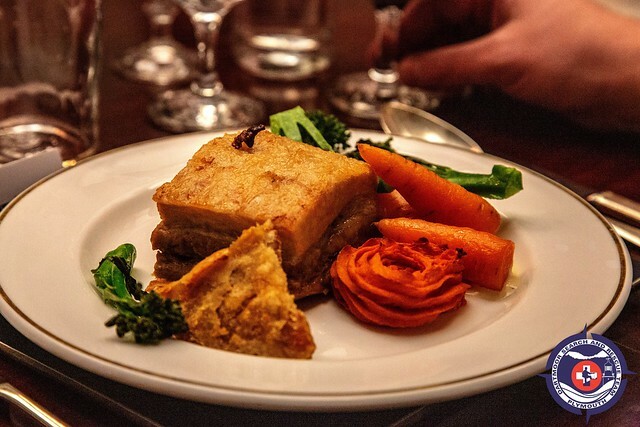 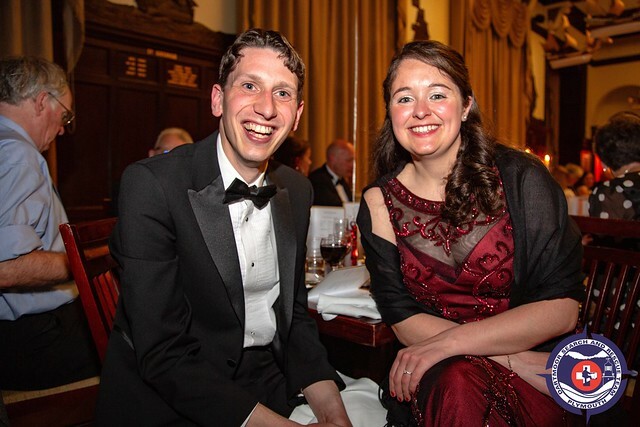 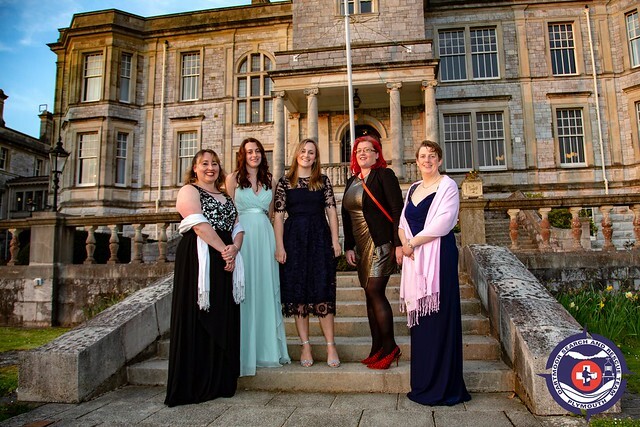 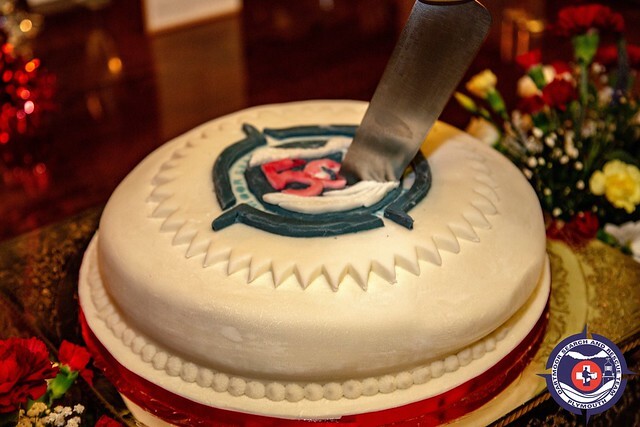 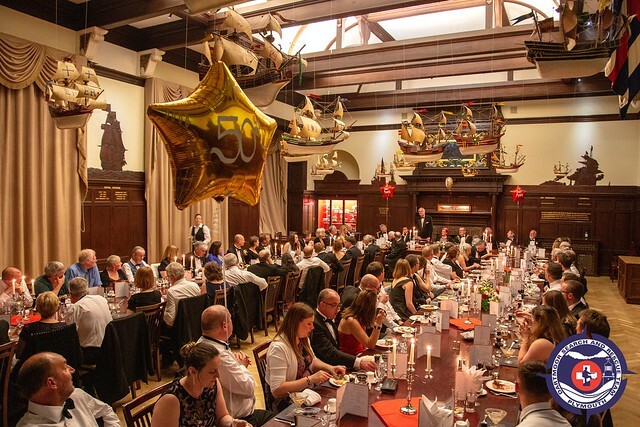 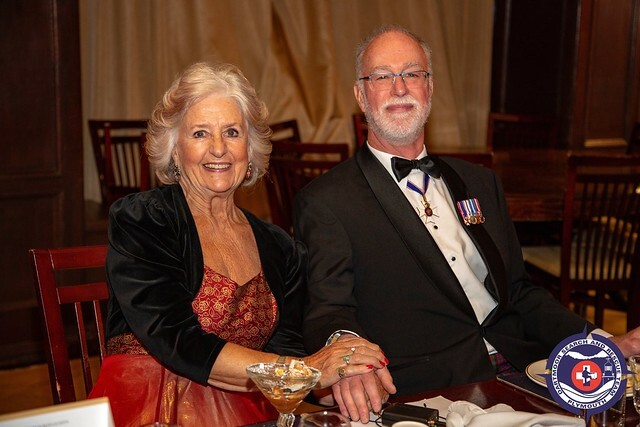 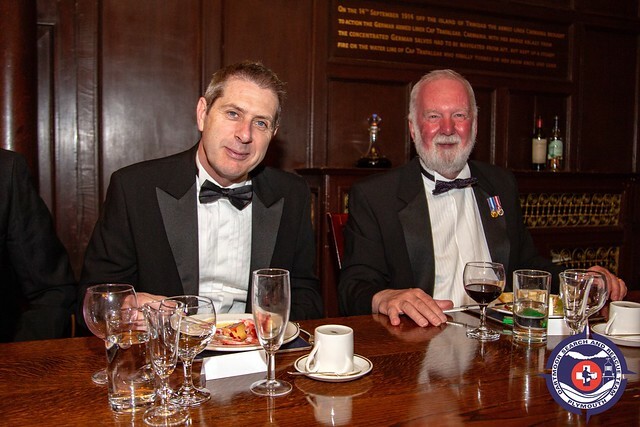 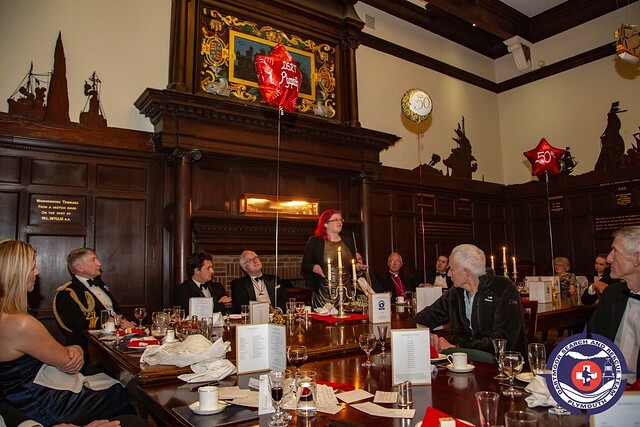 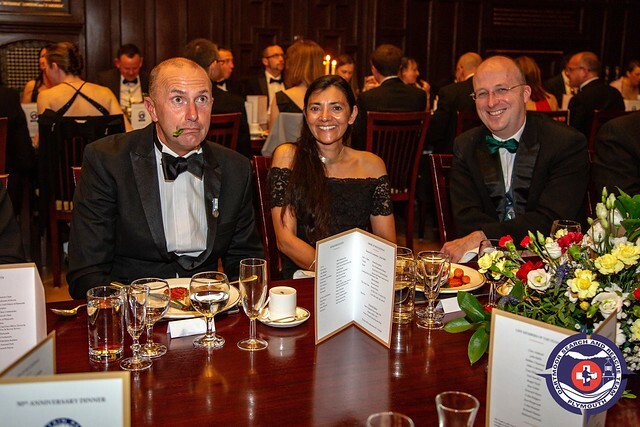 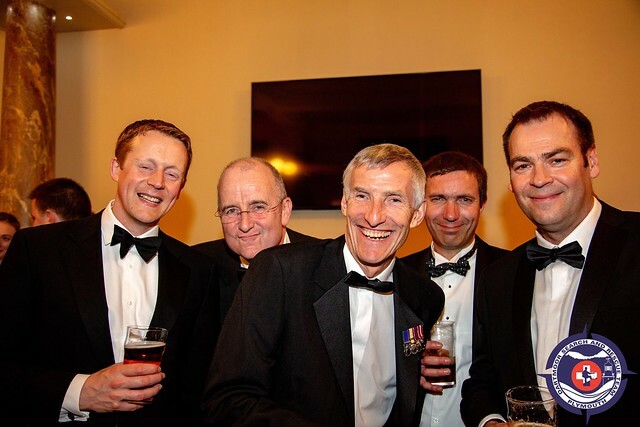 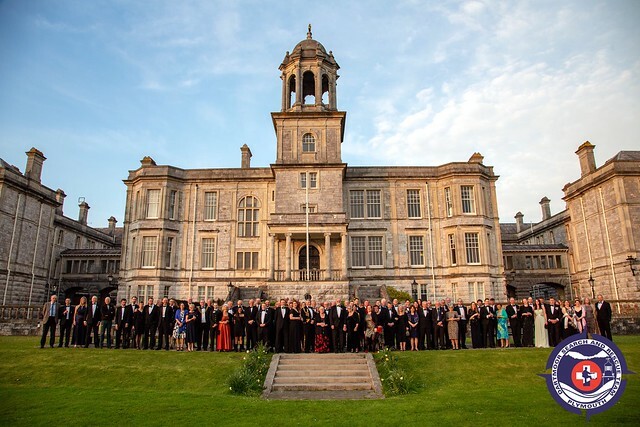 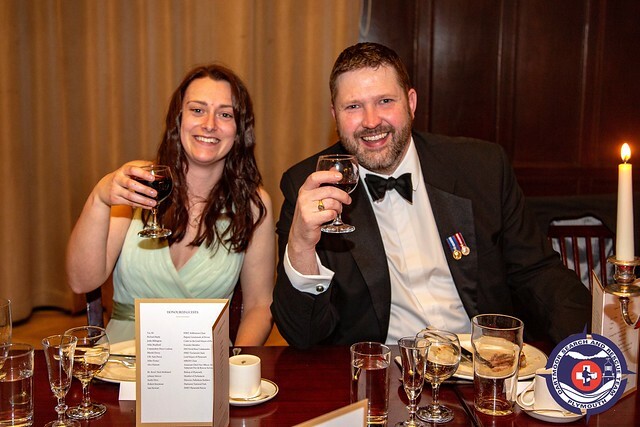 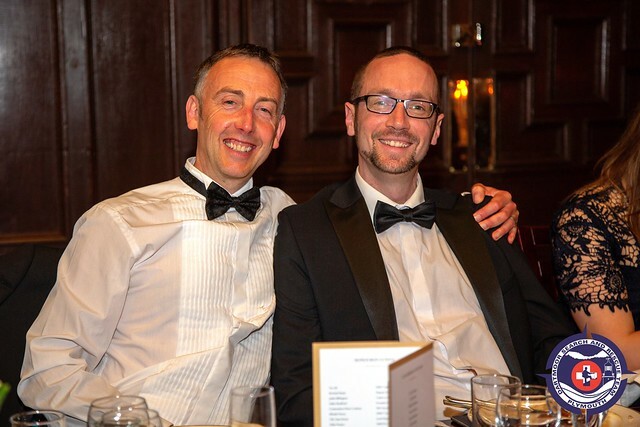 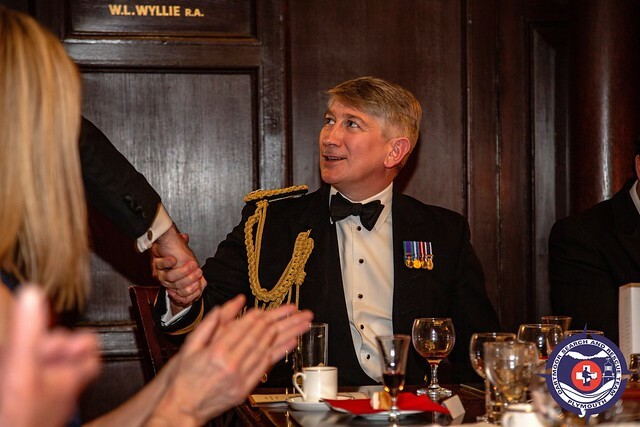 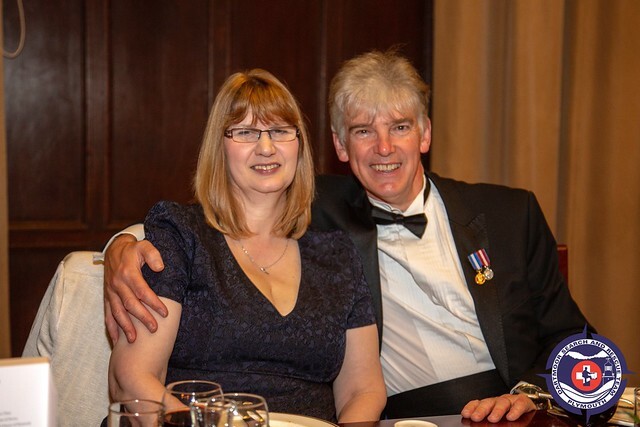 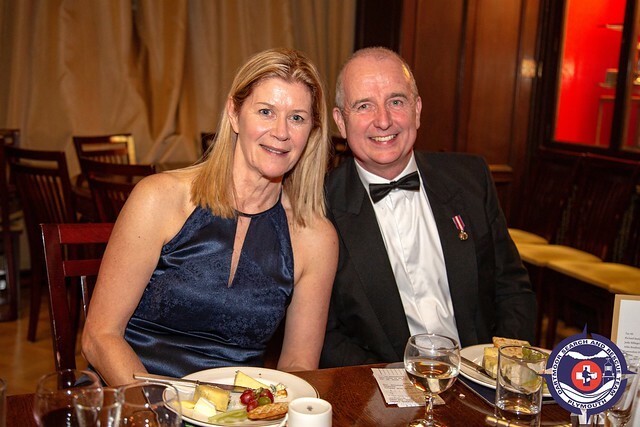 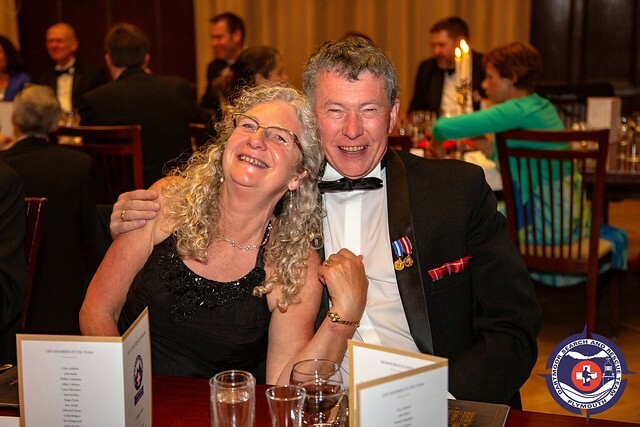 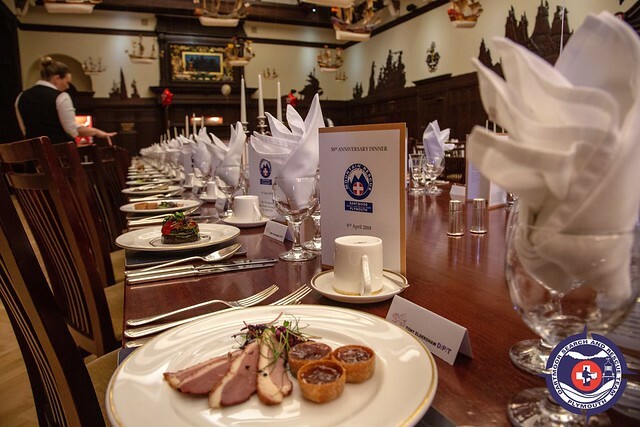 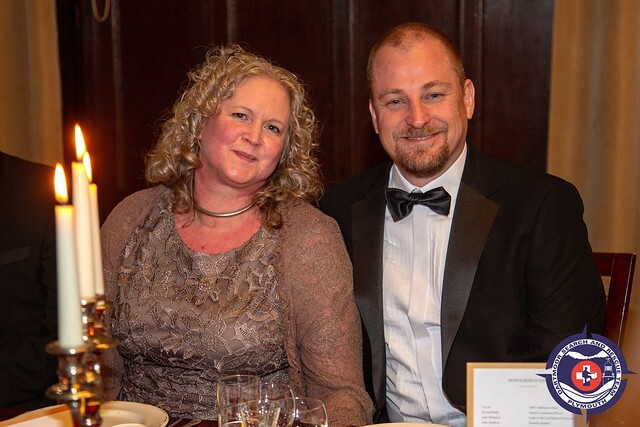 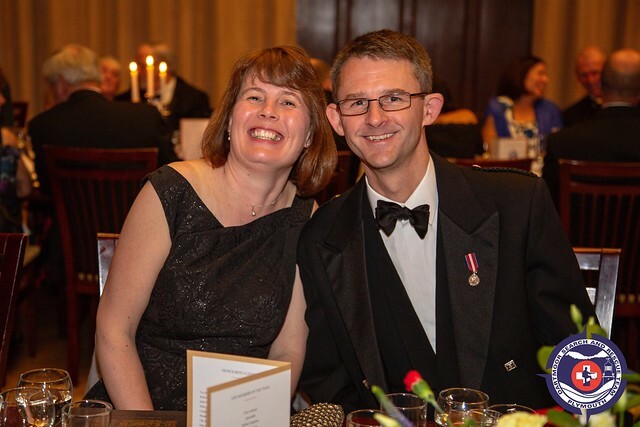 2019 is a monumental year for the Plymouth section of Dartmoor Rescue, it is our 50thAnniversary and the team had decided to celebrate in style with a lavish dinner at the Wardroom in HMS Drake. 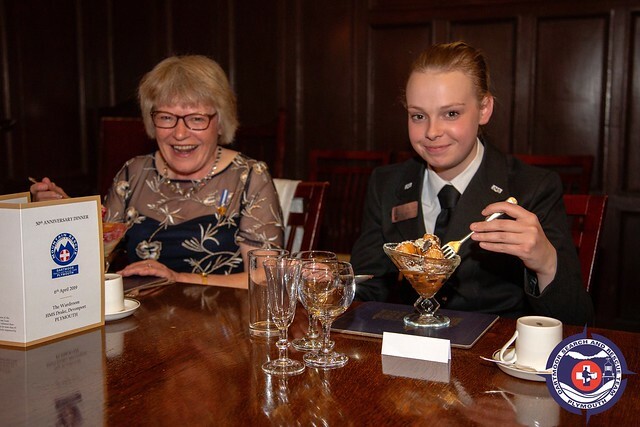 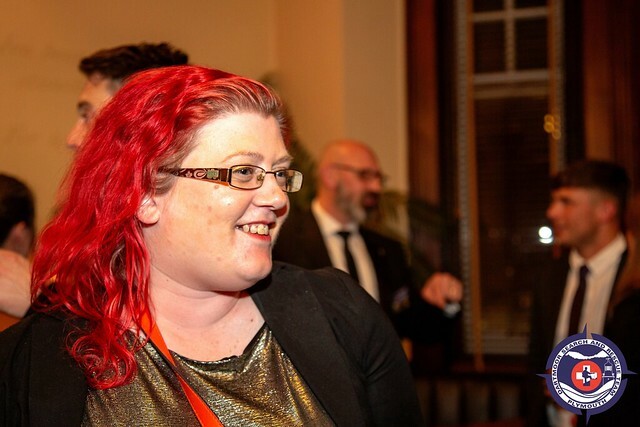 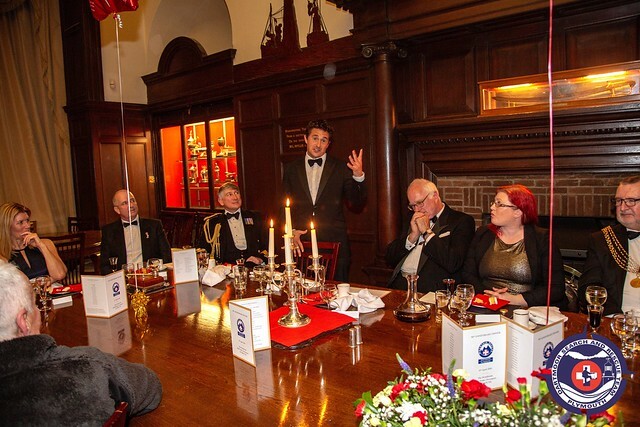 All team members and their partners were invited along with a host of special guests. 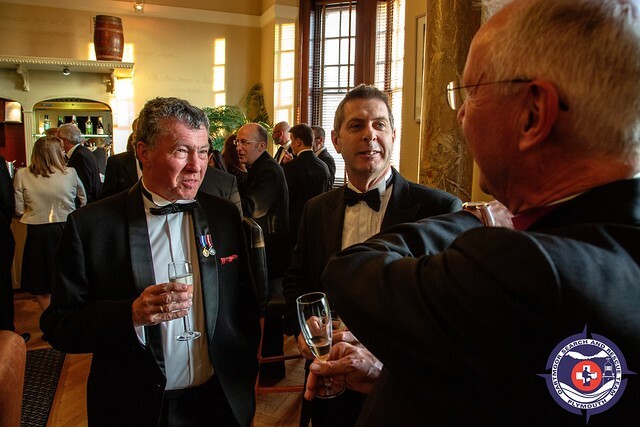 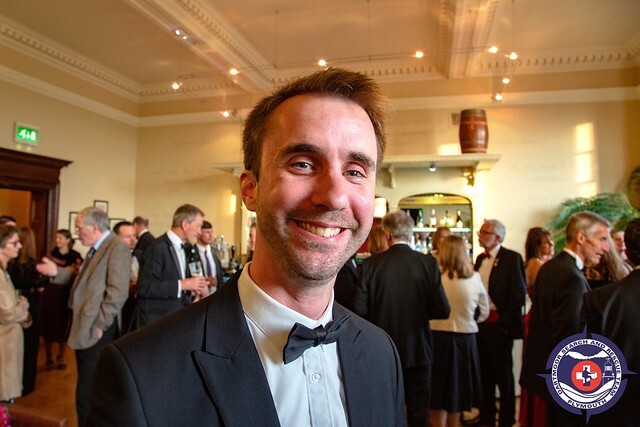 The evening started at 18:45 with a drinks reception on arrival. 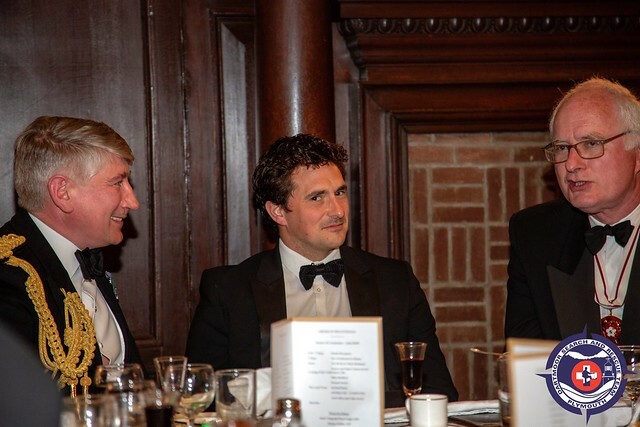 This gave people a chance to mingle and try and recognise each other out of the usual corporate red kit. 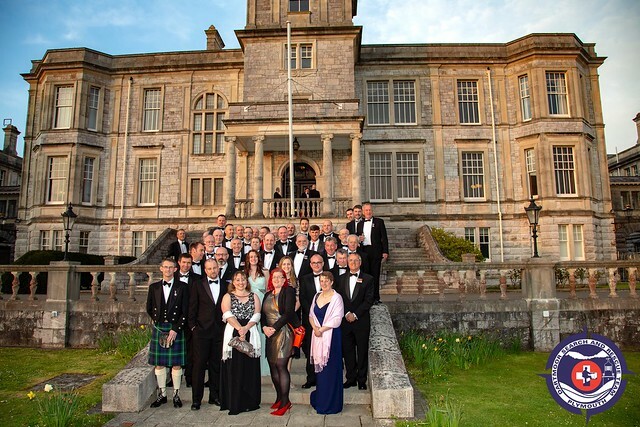 After a glass of bubbly (or two..) everyone congregated outside for photographs. 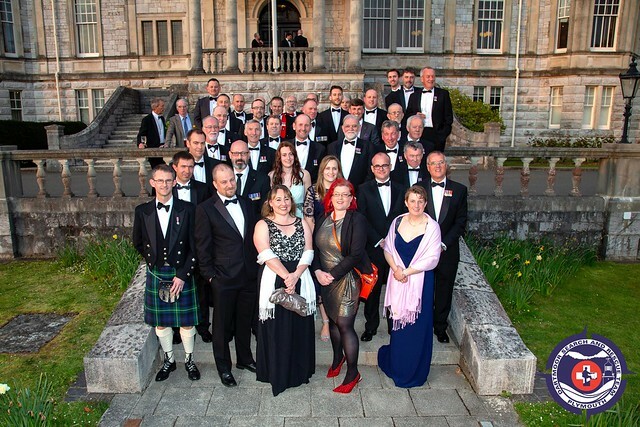 The weather unusually for Plymouth was very favourable and some great group shots were taken. 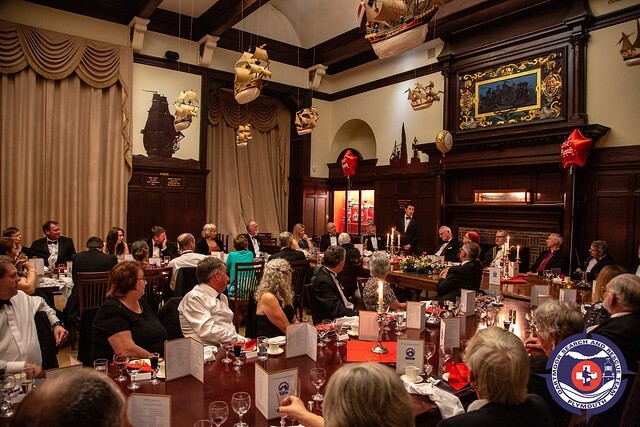 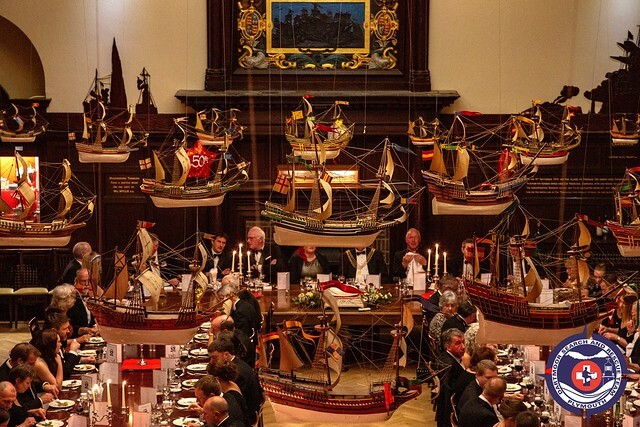 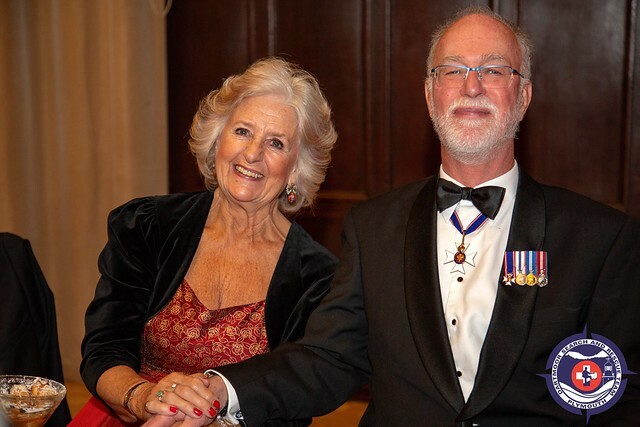 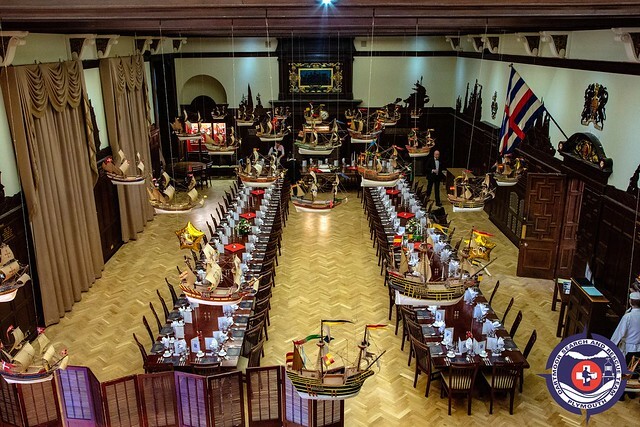 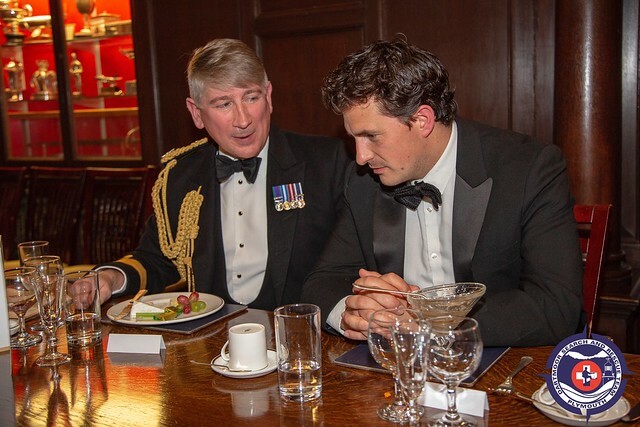 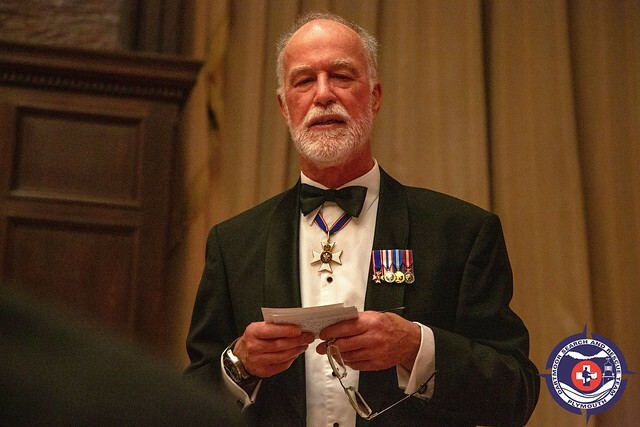 Our Master of Ceremonies John Babb announced at 19:30 that dinner was served and we made our way into the stunning Wardroom. 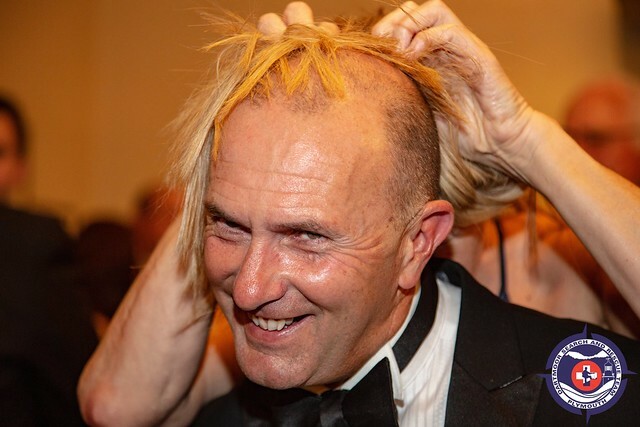 After Grace has been given by the Rt. 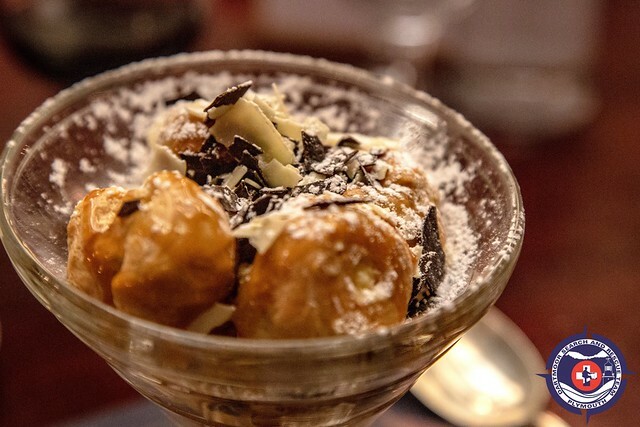 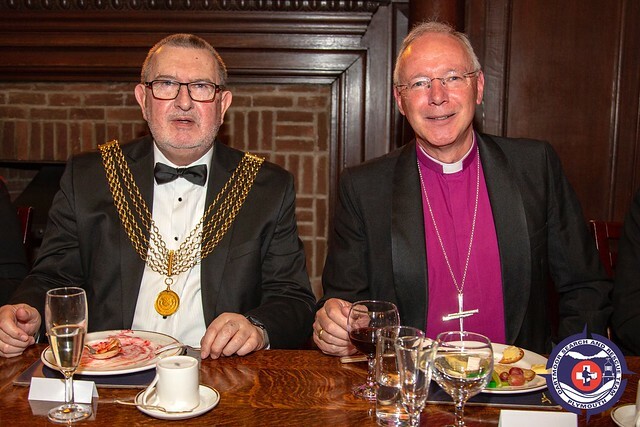 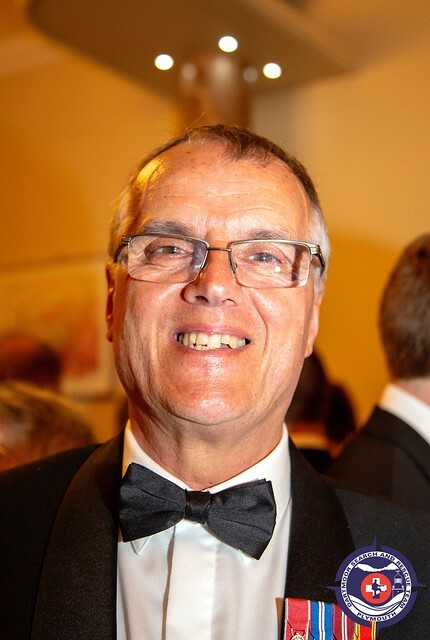 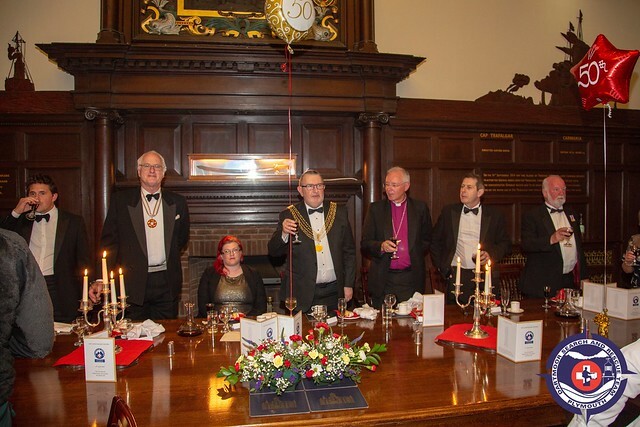 Revd Nick McKinnel we all enjoyed a sumptuous 3 course dinner washed down with some rather fabulous choices of wine. 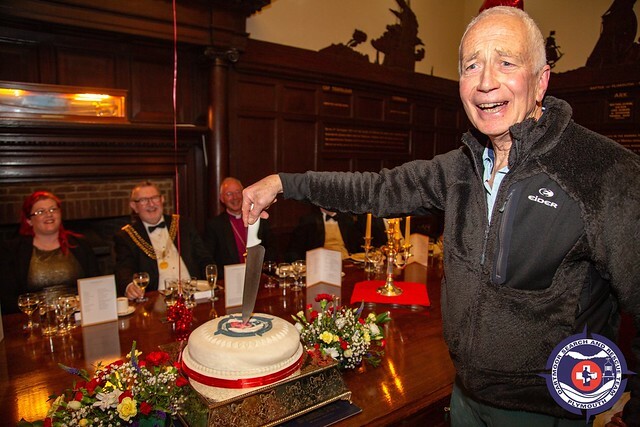 Before dessert was served our founder member Mike Bradford gave a speech and cut the celebration cake. 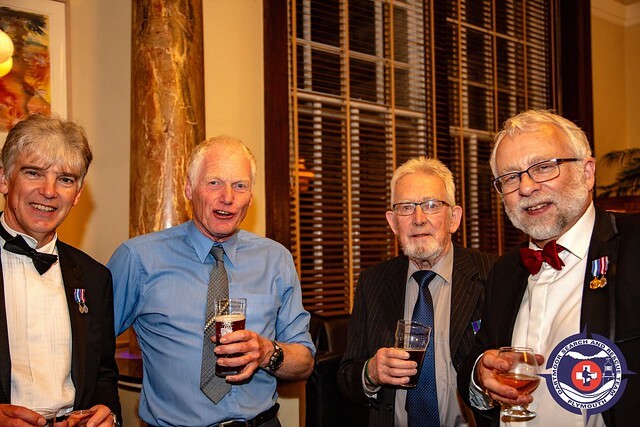 The Loyal Toast given by Richard Bayly was next on the evening’s agenda, closely followed by coffee and cake for those who could fit this in. 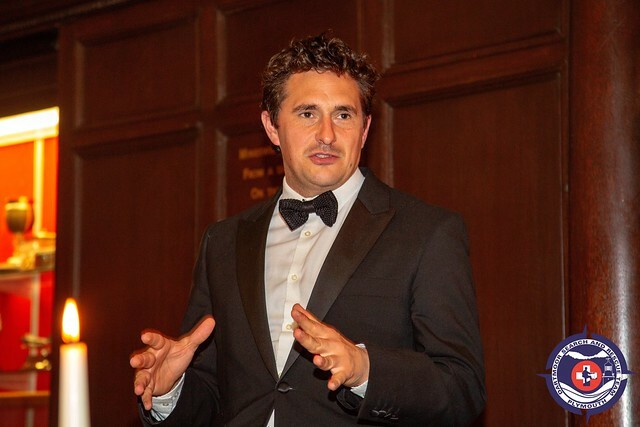 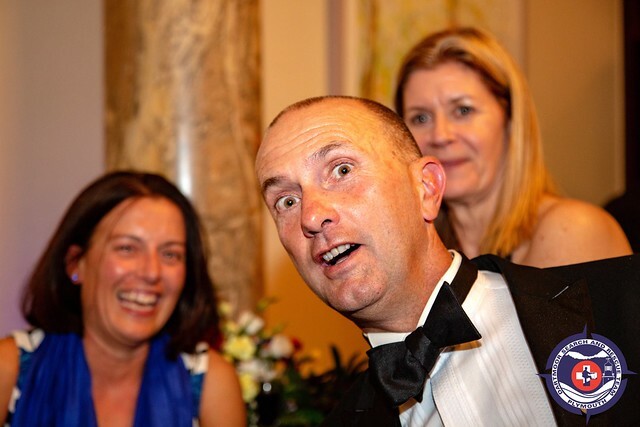 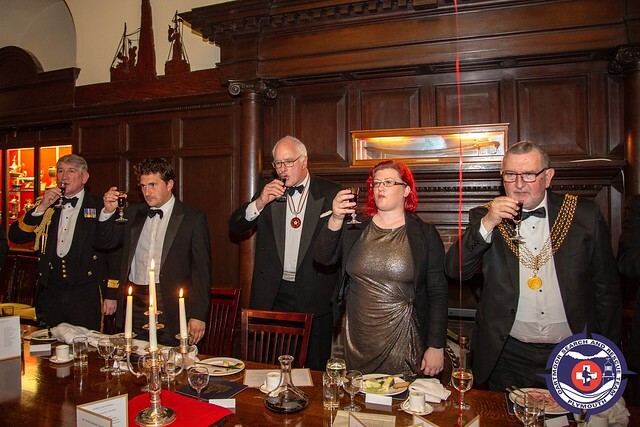 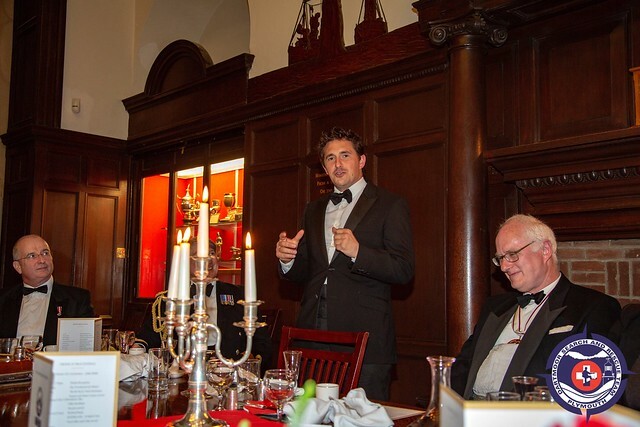 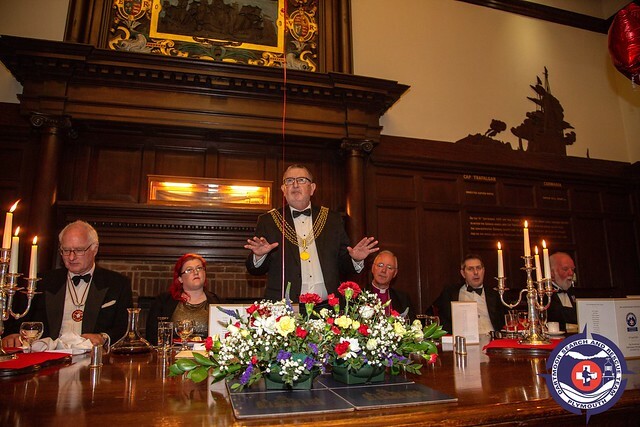 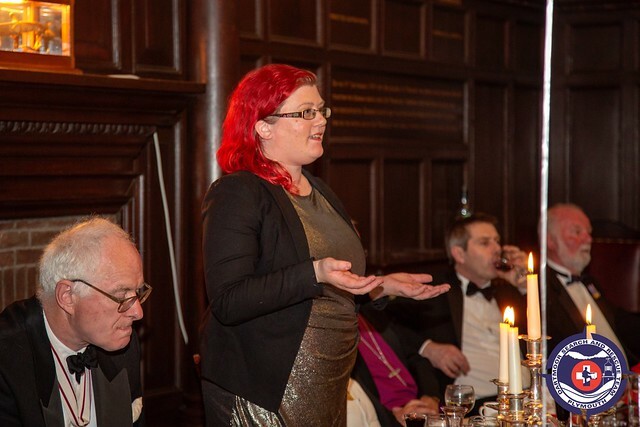 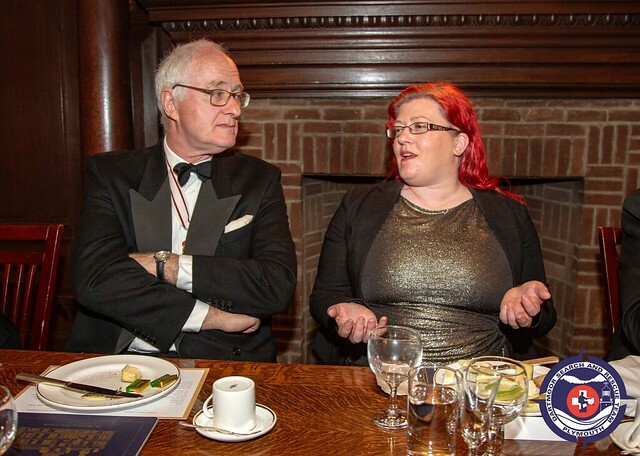 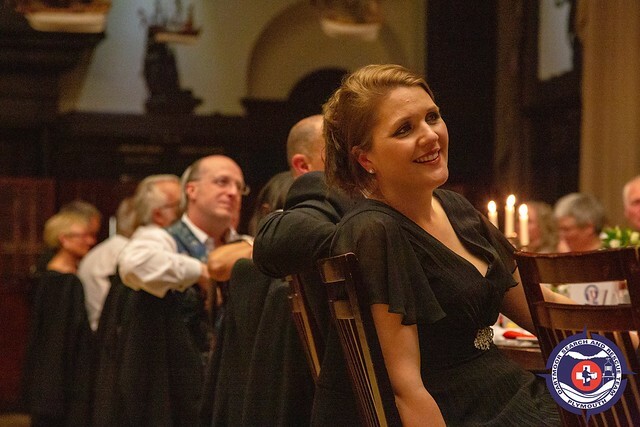 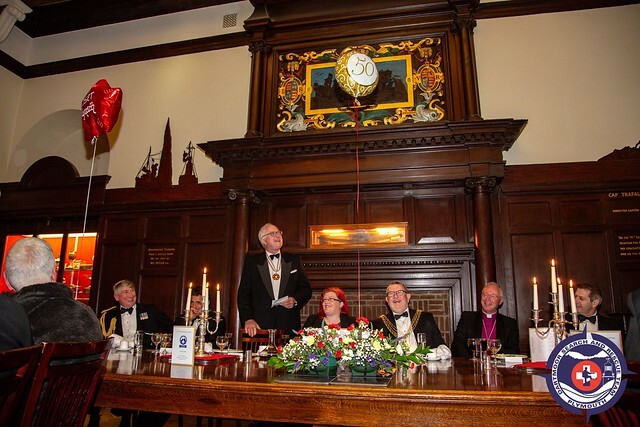 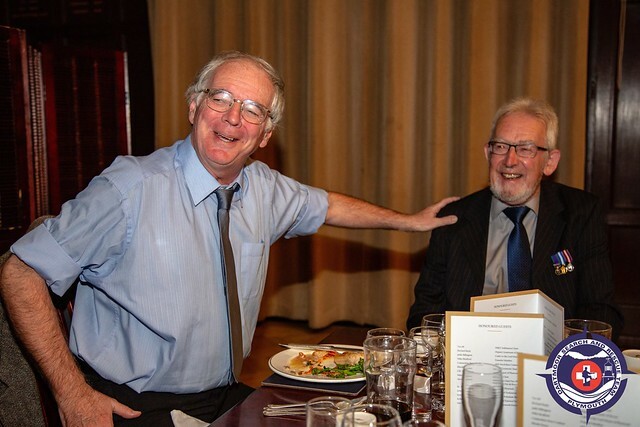 Once the port glasses had been filled up the night continued with an array of speeches from the top table. 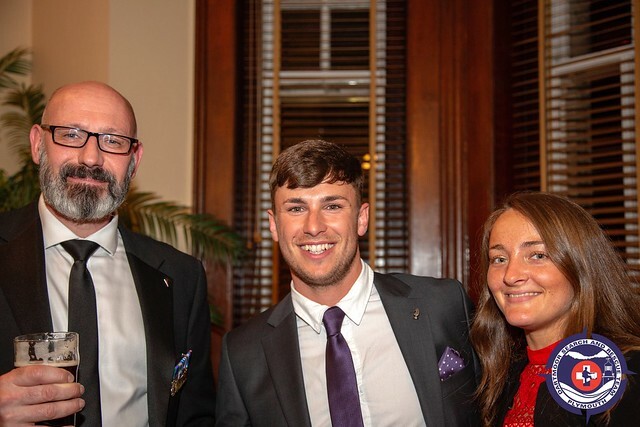 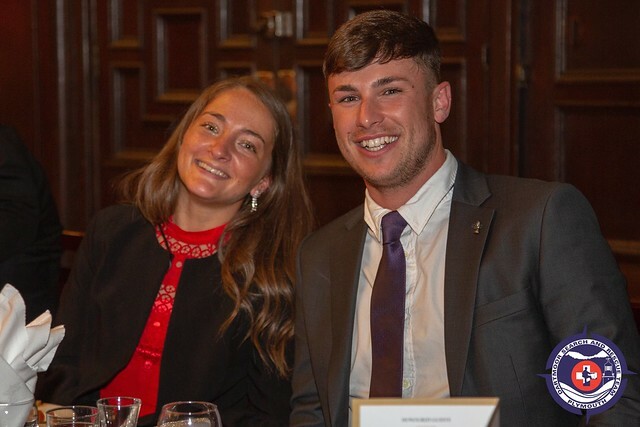 The Lord Mayor of Plymouth Cllr Sam Davey, member of Parliament Johnny Mercer and a couple of our own team members Colin and Vicky all gave captivating and exceptional speeches. 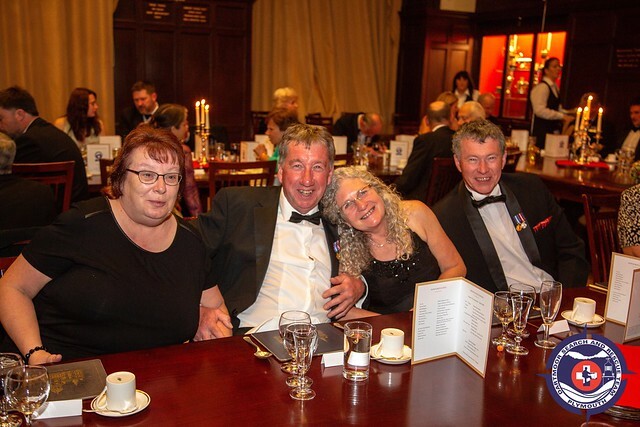 After dinner we all departed back through to the bar and the mingling carried on until last orders was called at around 23:00. 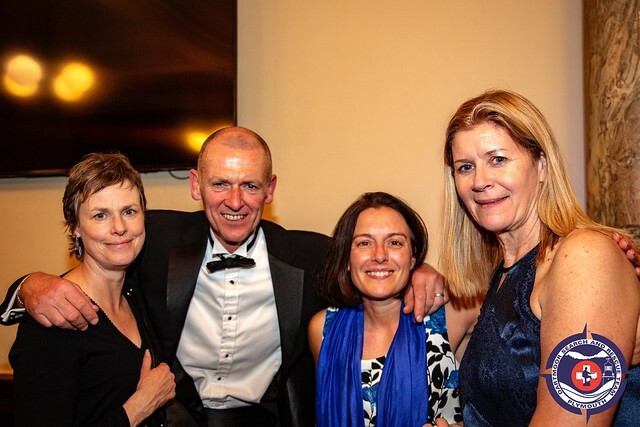 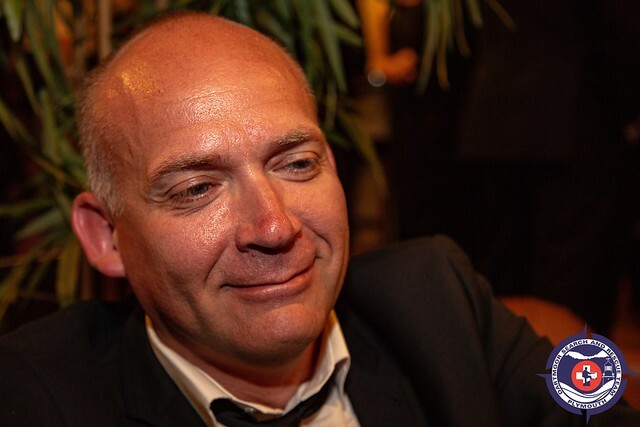 It was a spectacular evening and special thanks need to go out to Jan, Vicky and Bryony for organizing the event. 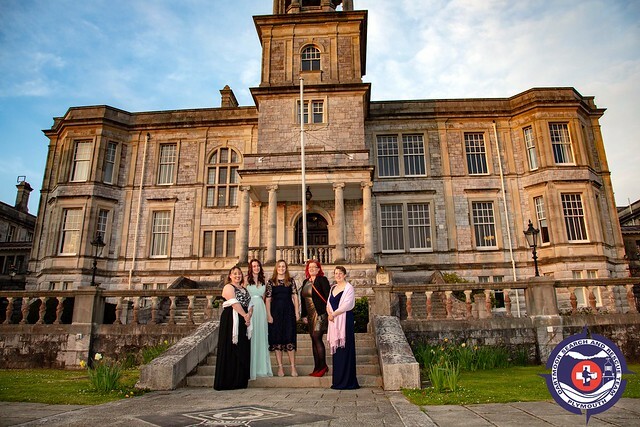 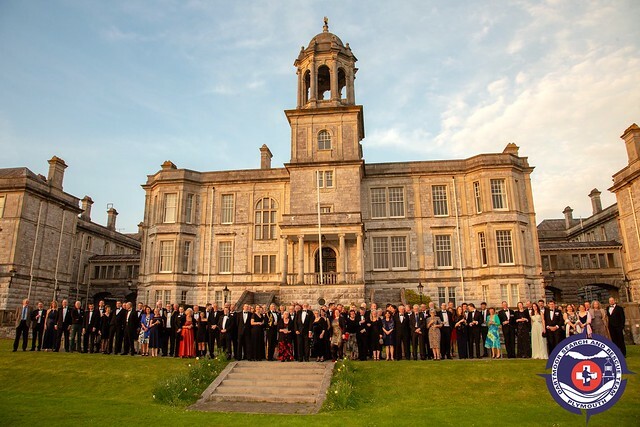 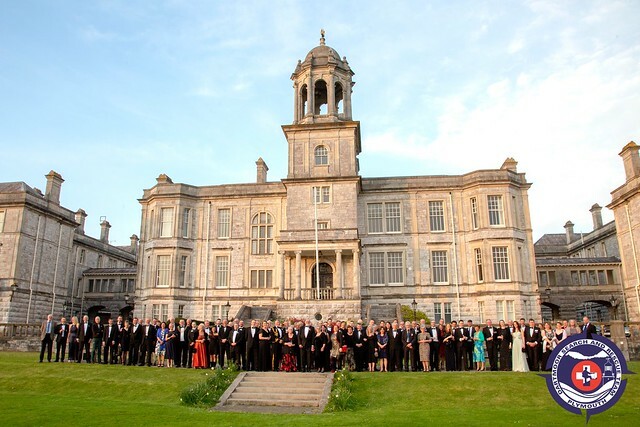 Thank you also to Kate and Commodore Peter Coulson, HMS Drake for allowing us to use the venue. 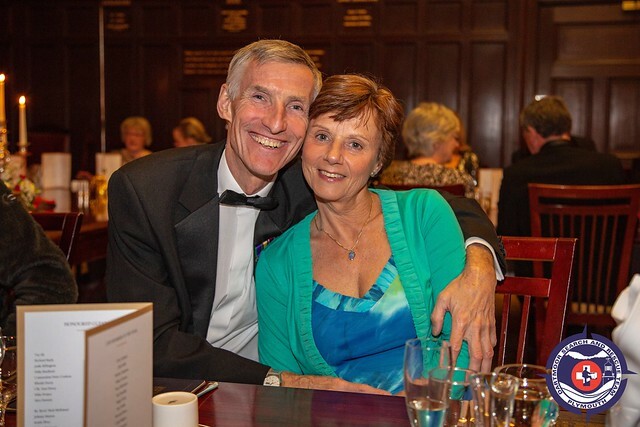 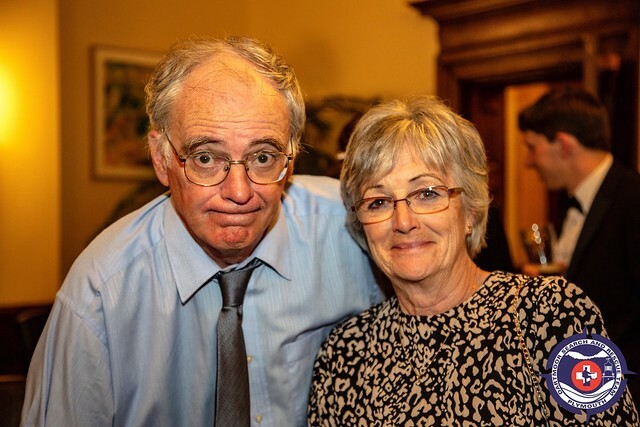 Thank you also to Roger Hyde for the amazing photographs. 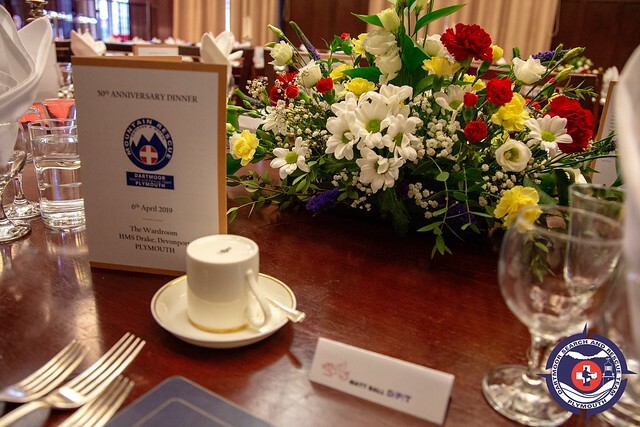 Finally thank you to everyone who attended and made the evening a very memorable occasion for the team’s landmark anniversary.